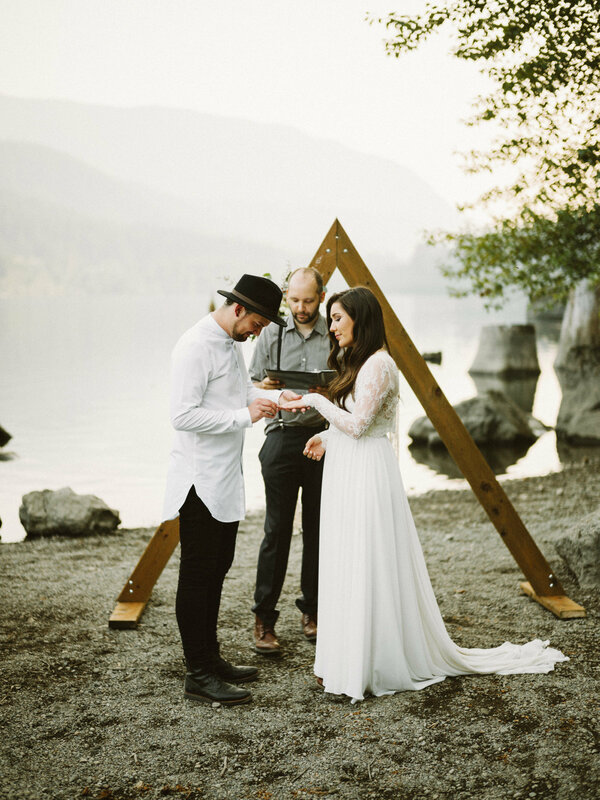 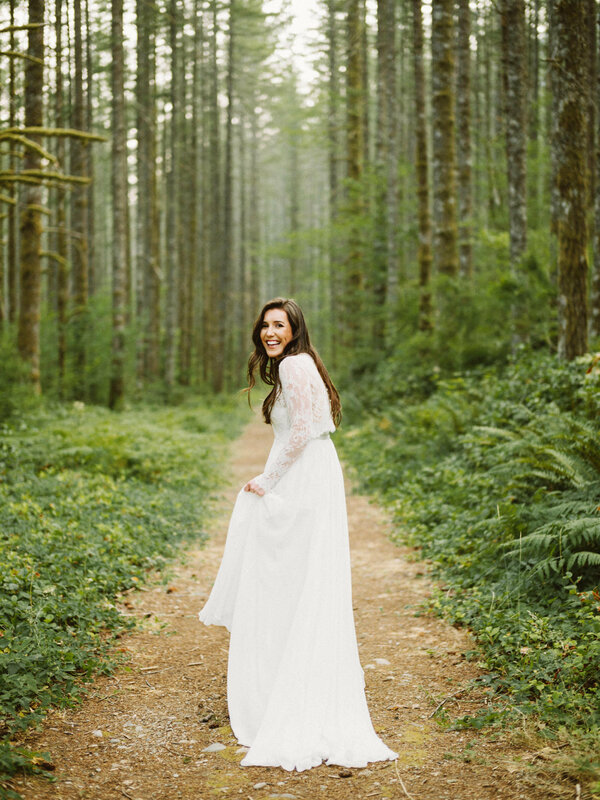 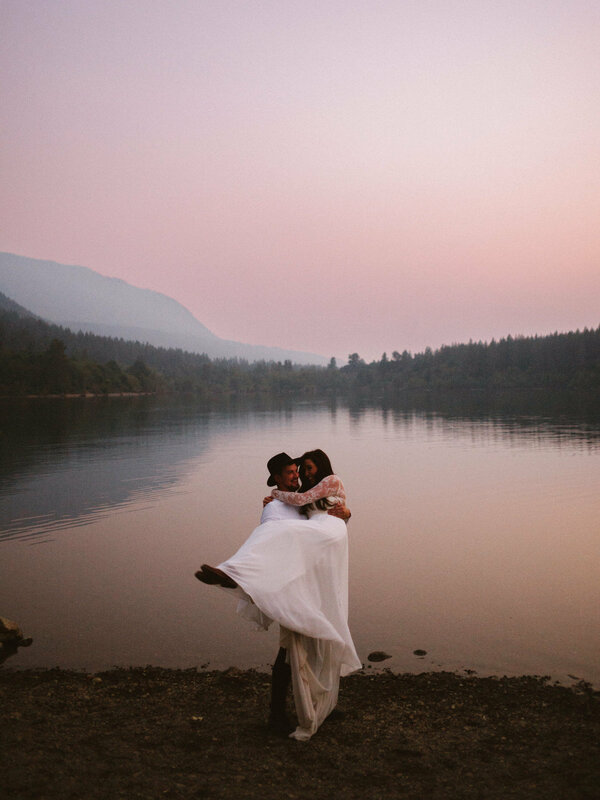 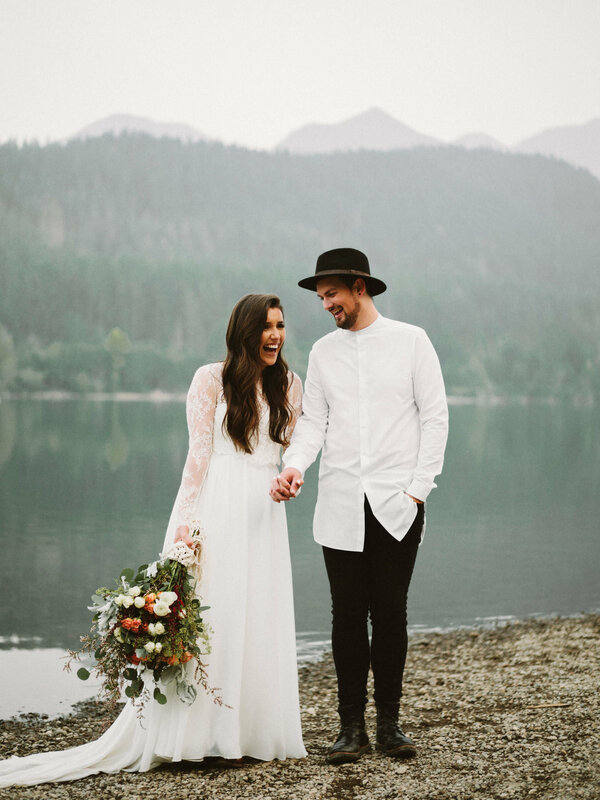 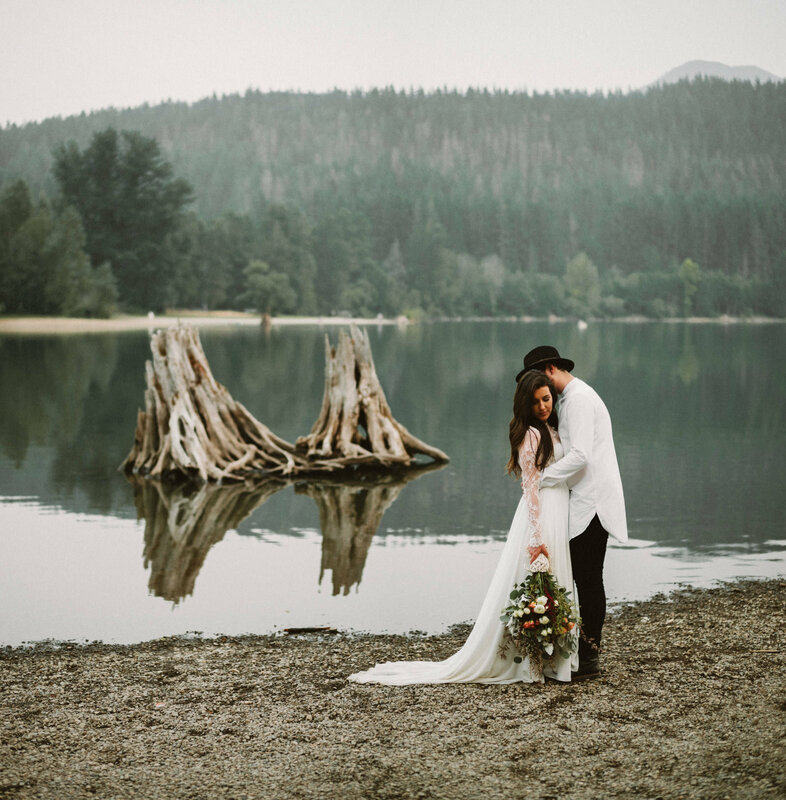 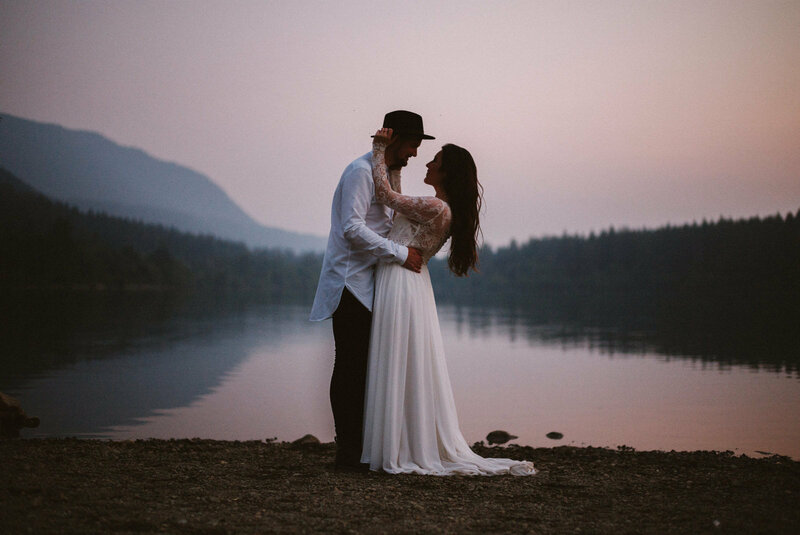 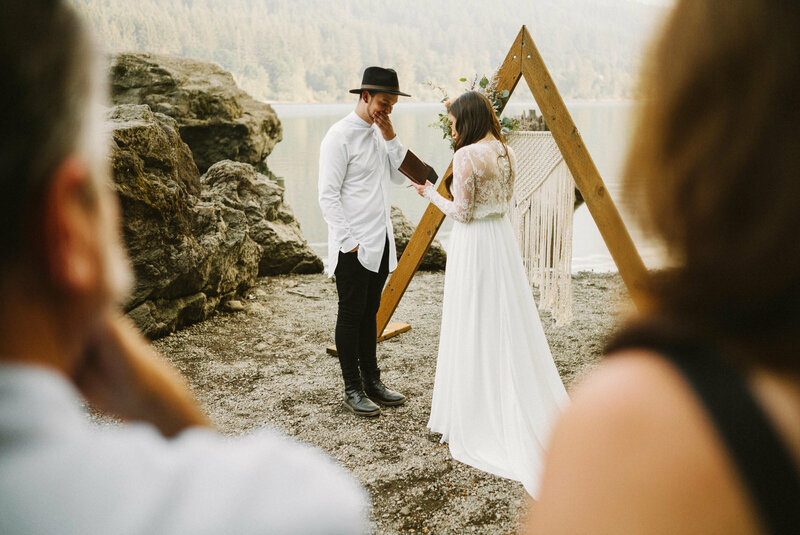 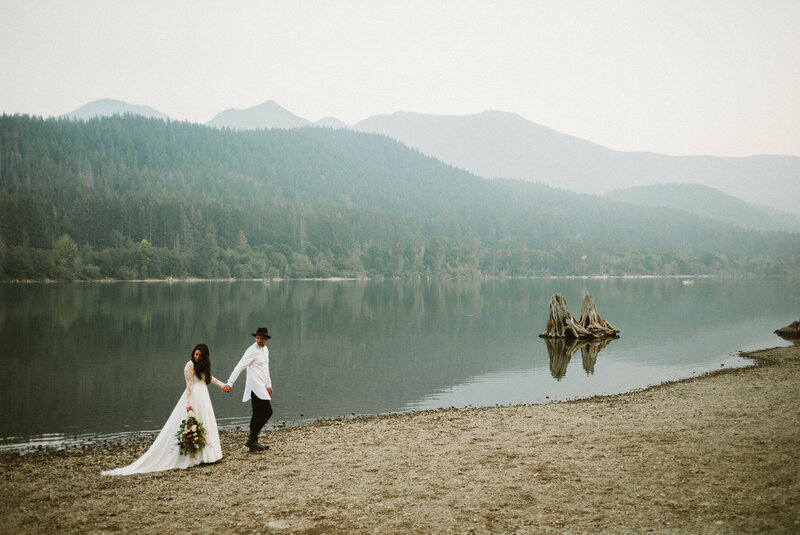 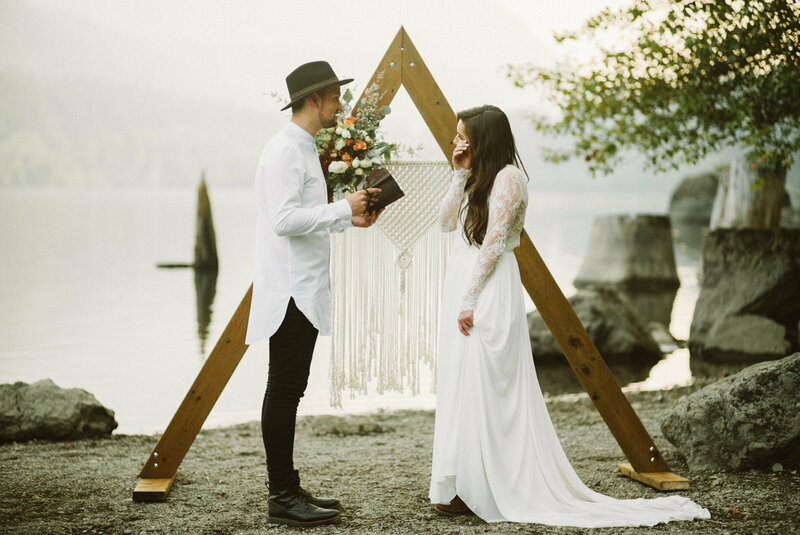 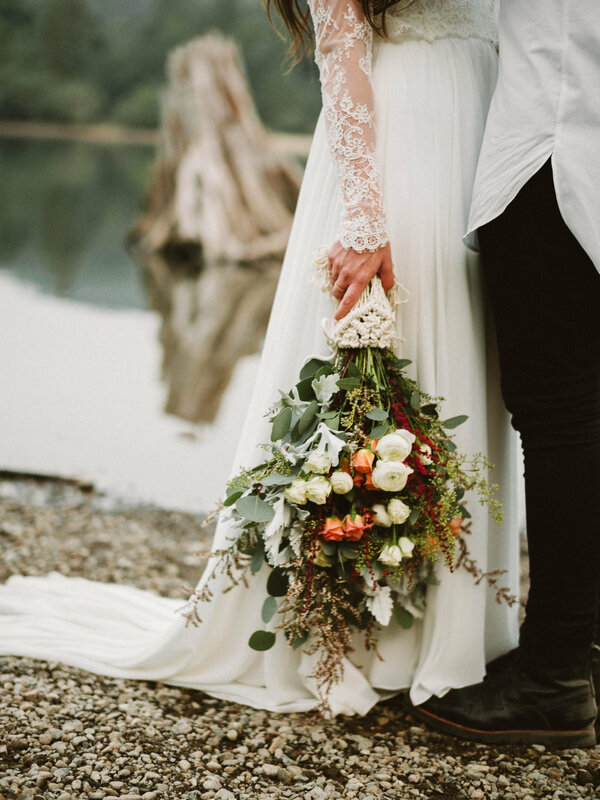 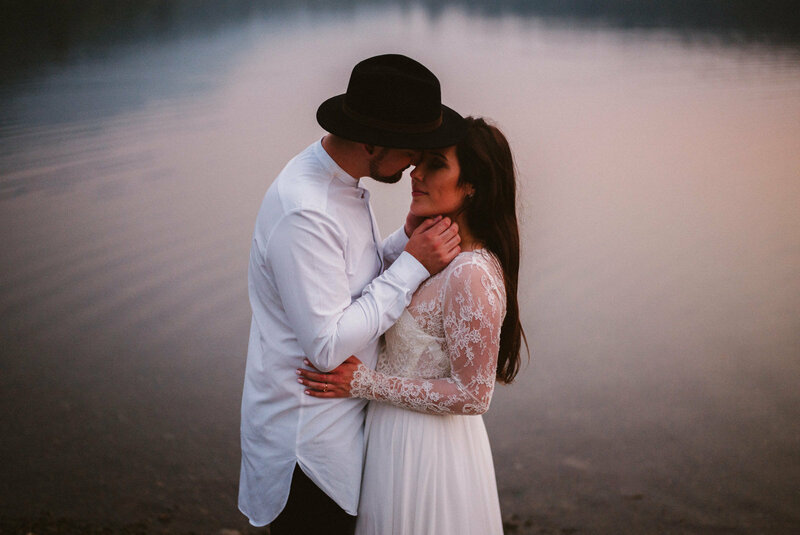 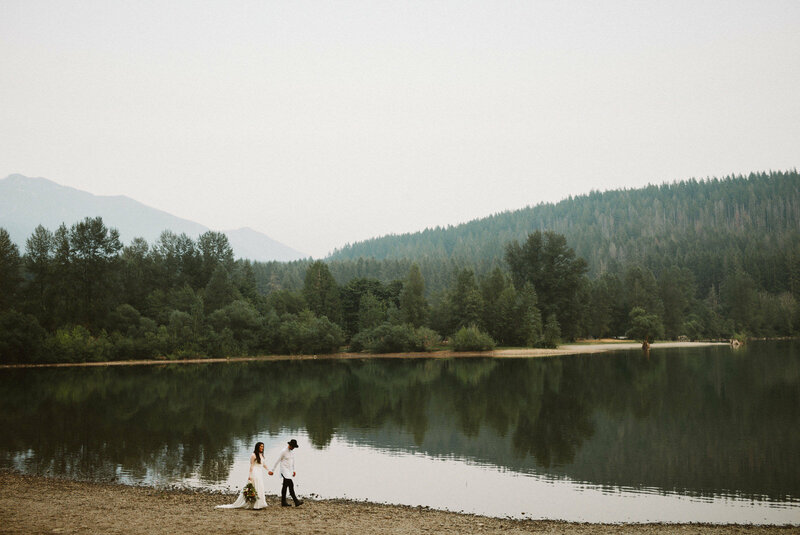 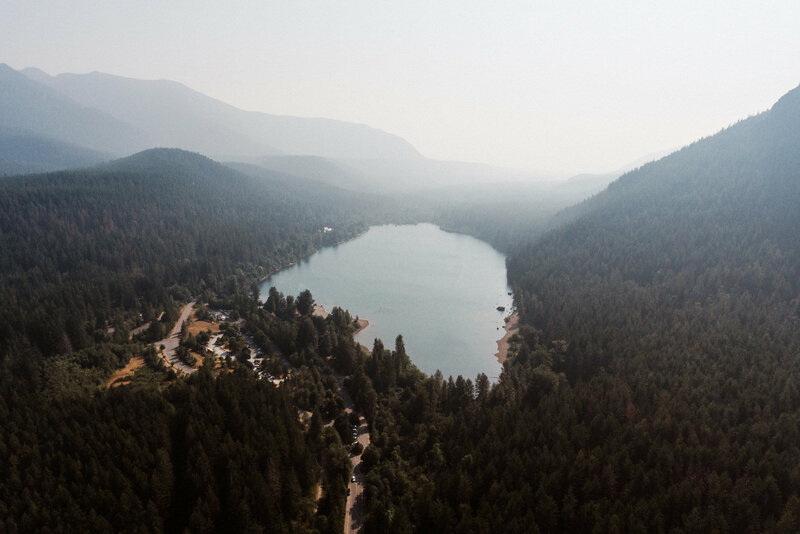 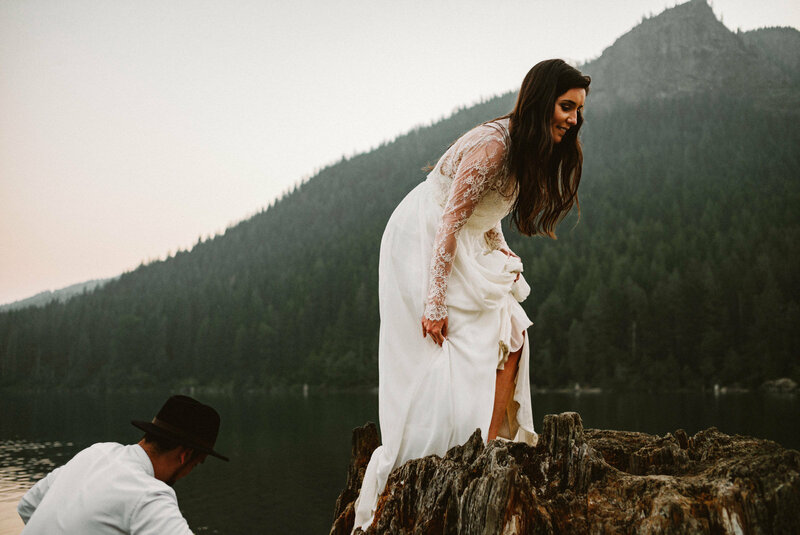 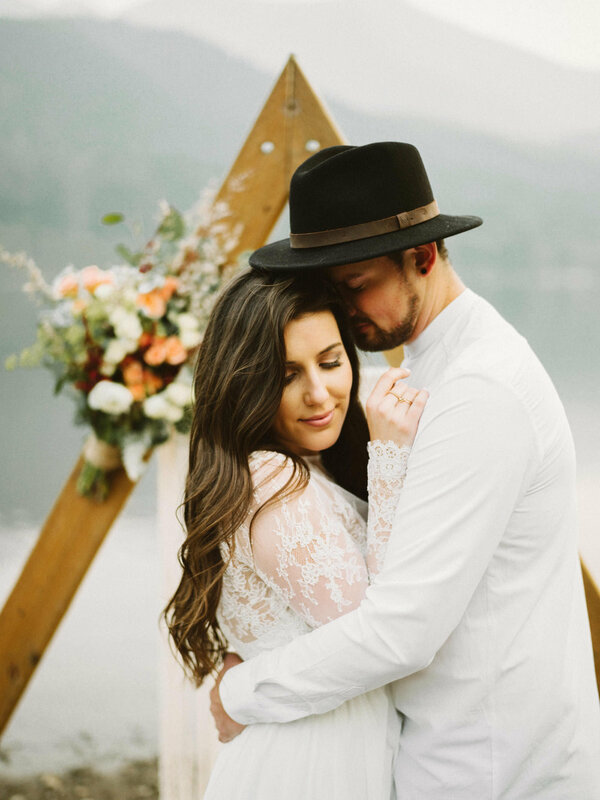 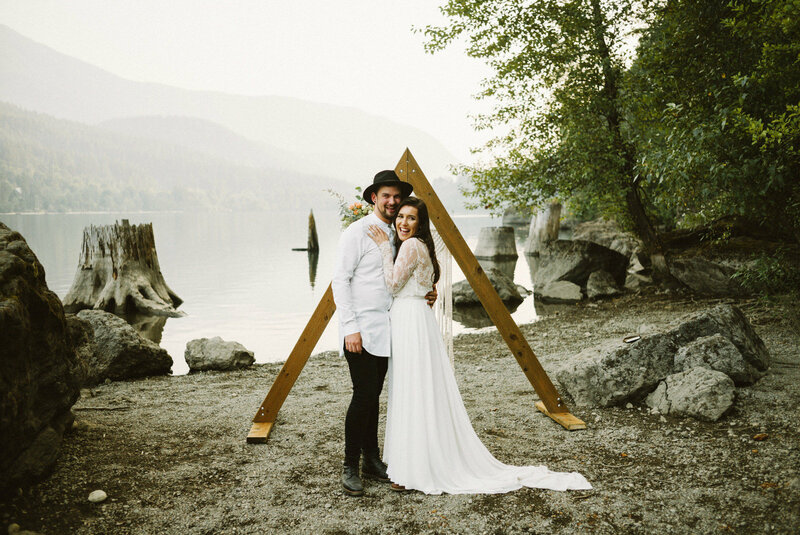 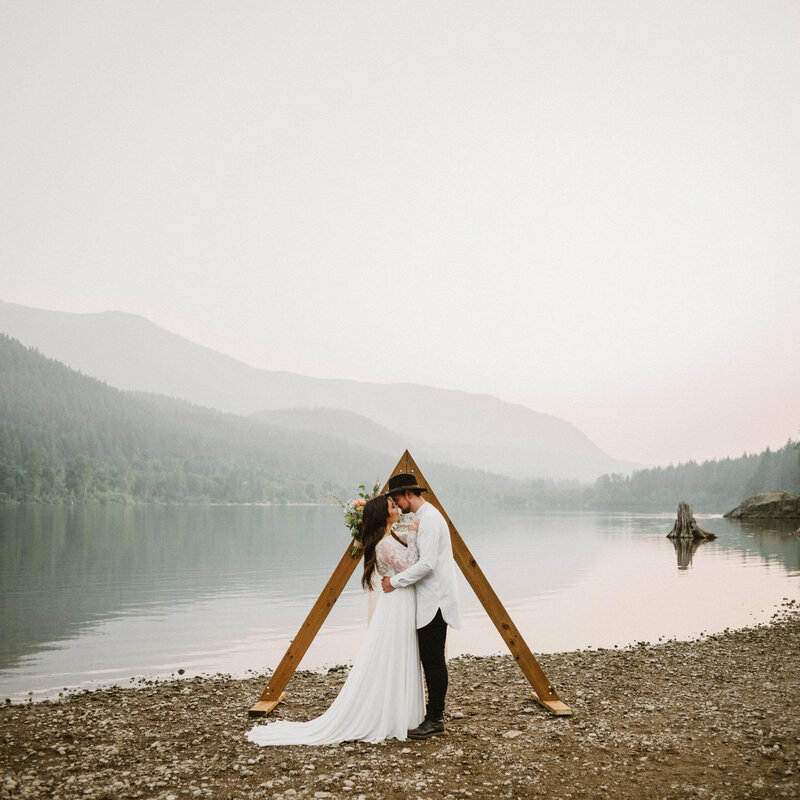 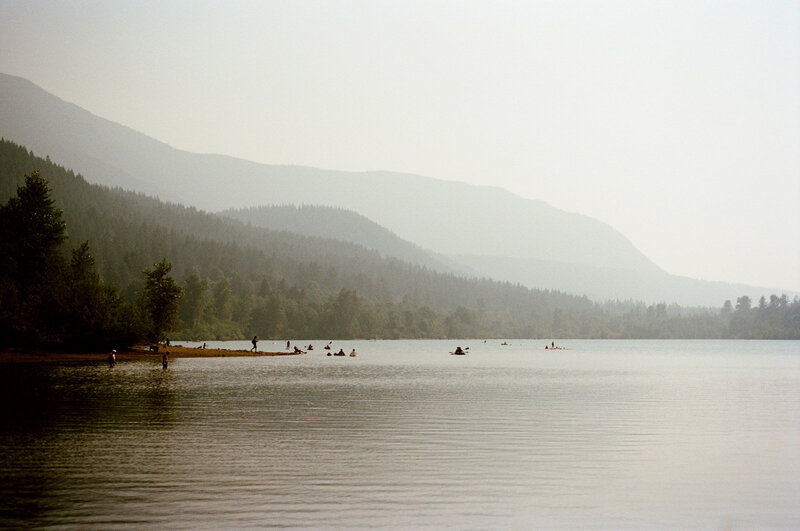 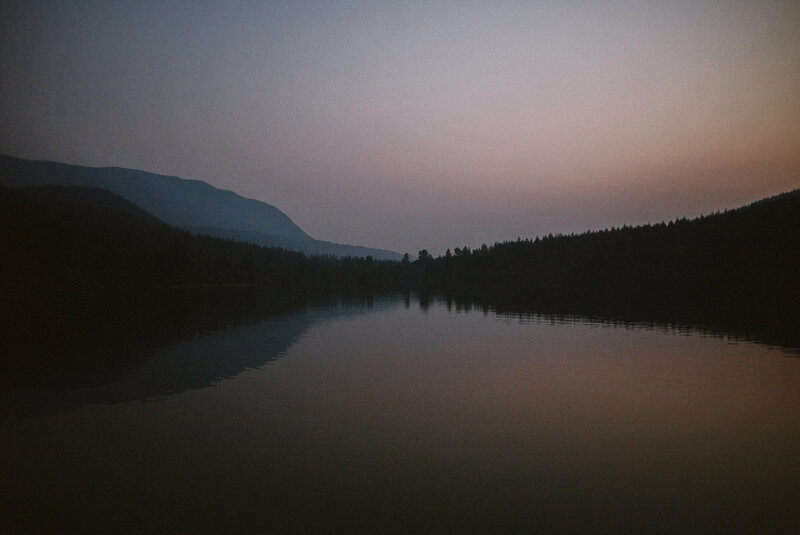 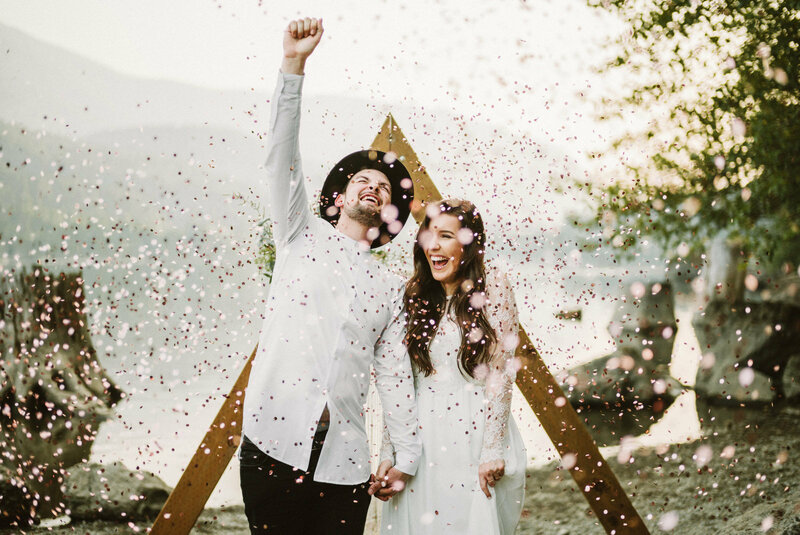 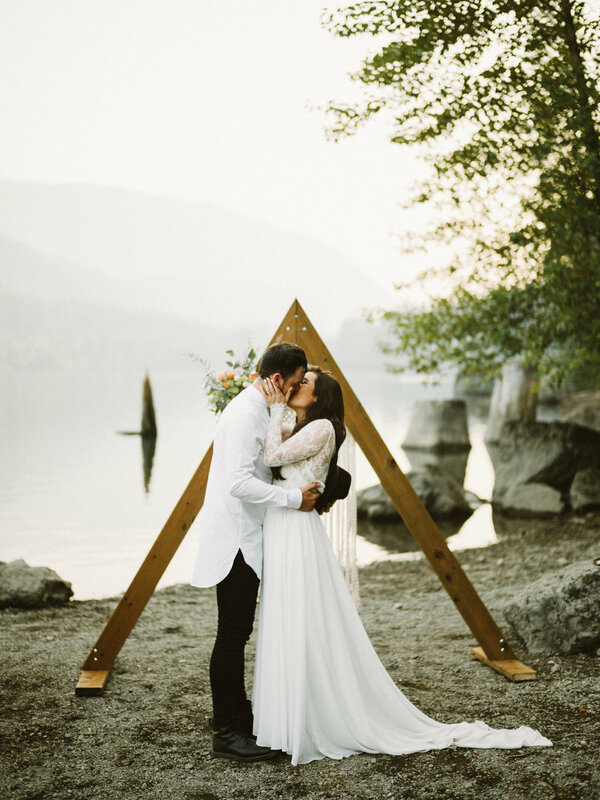 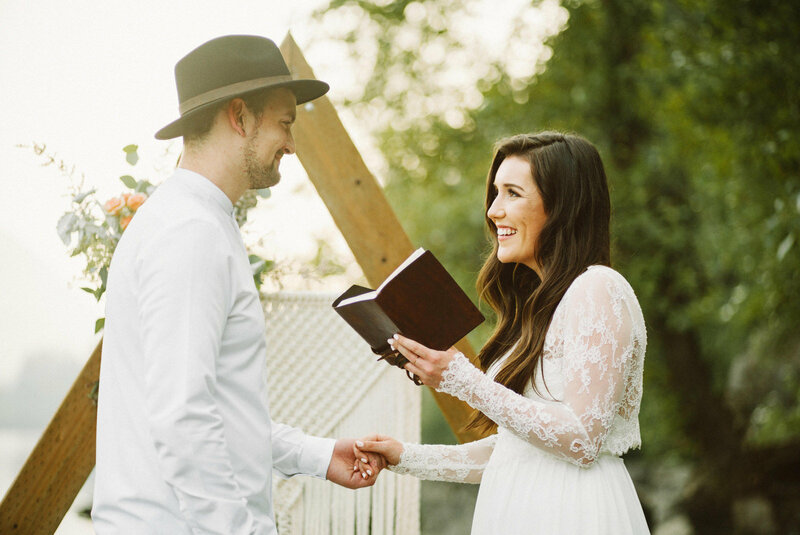 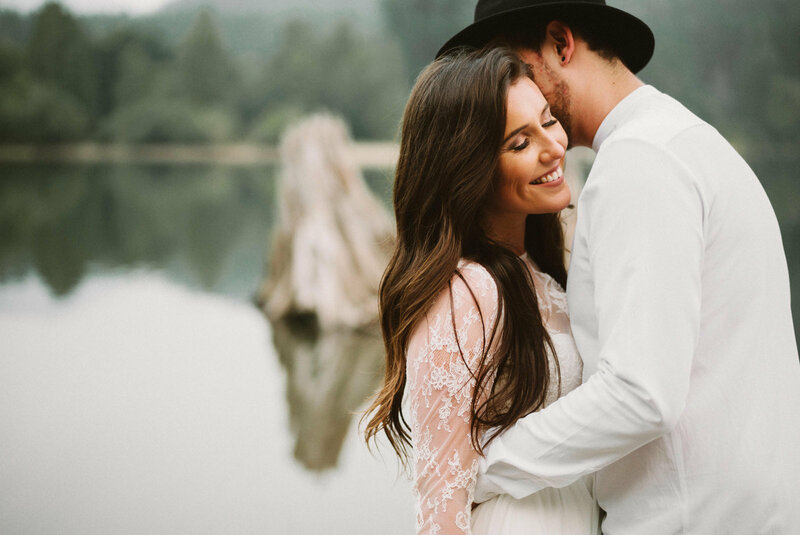 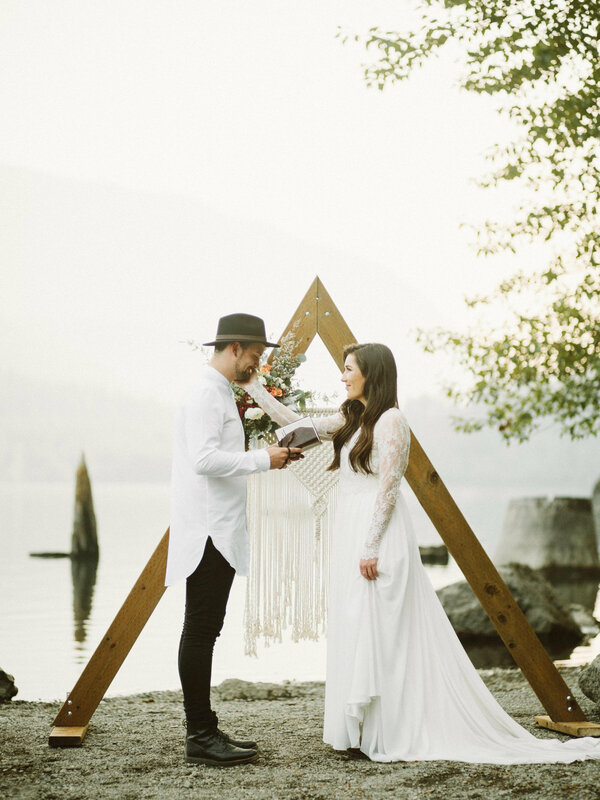 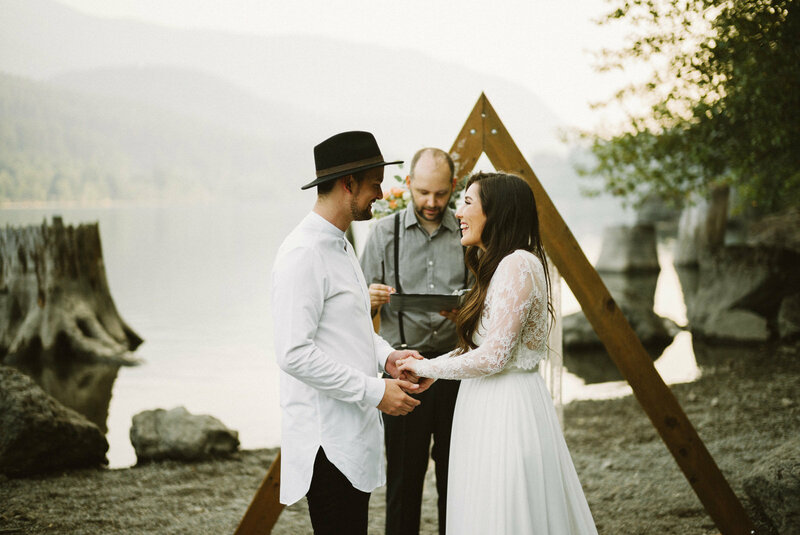 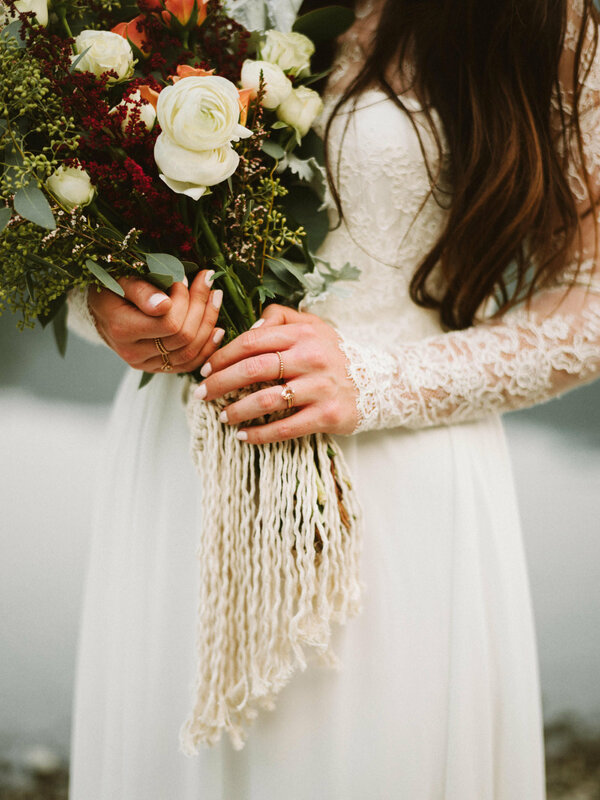 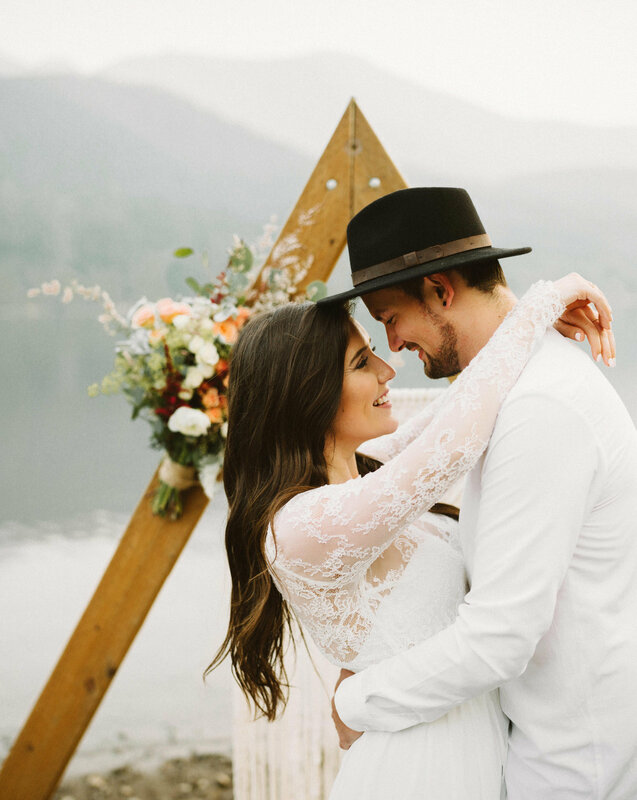 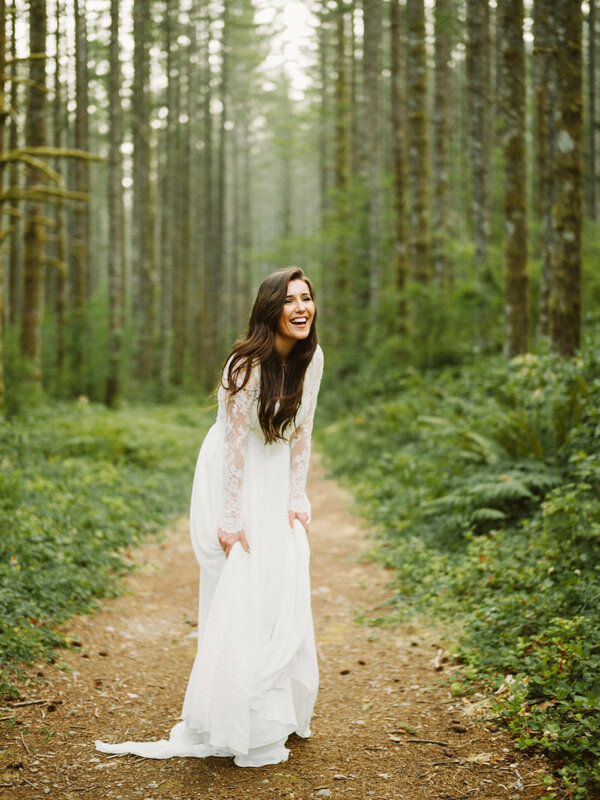 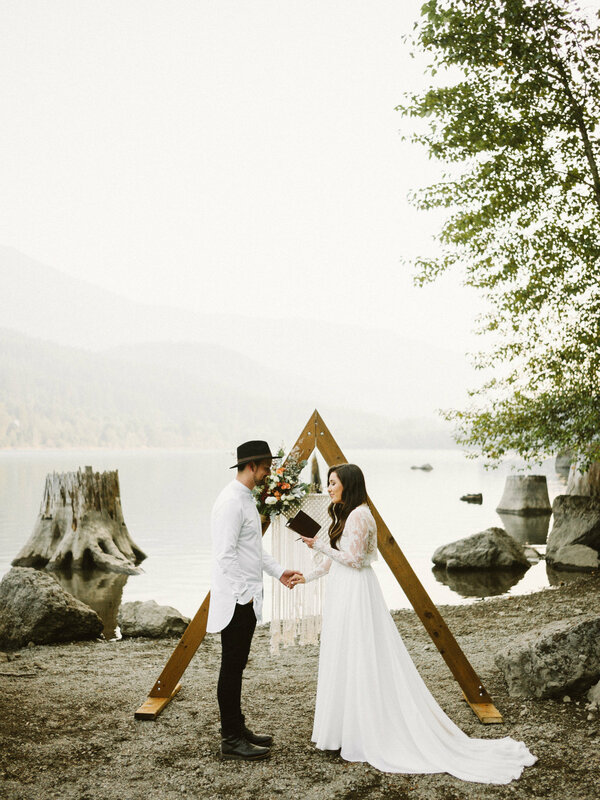 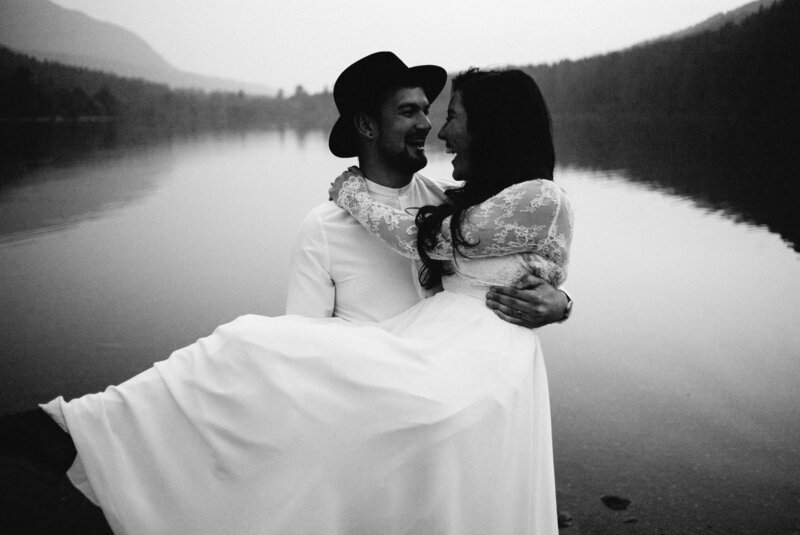 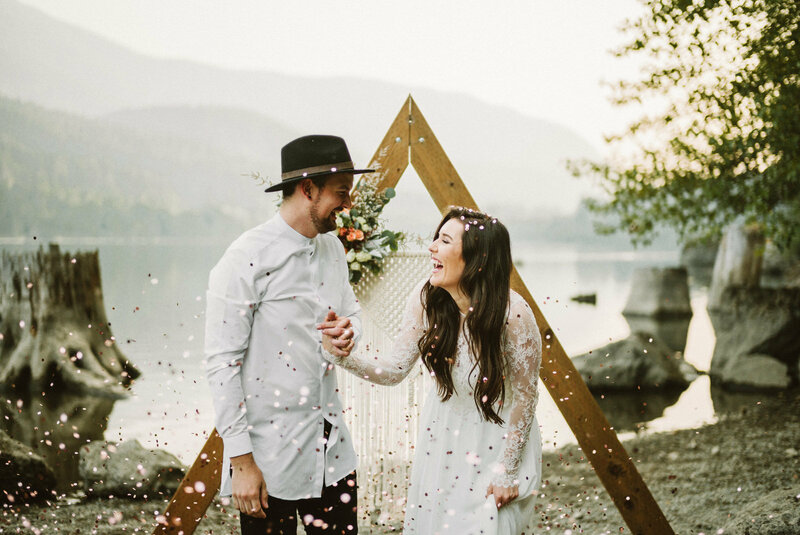 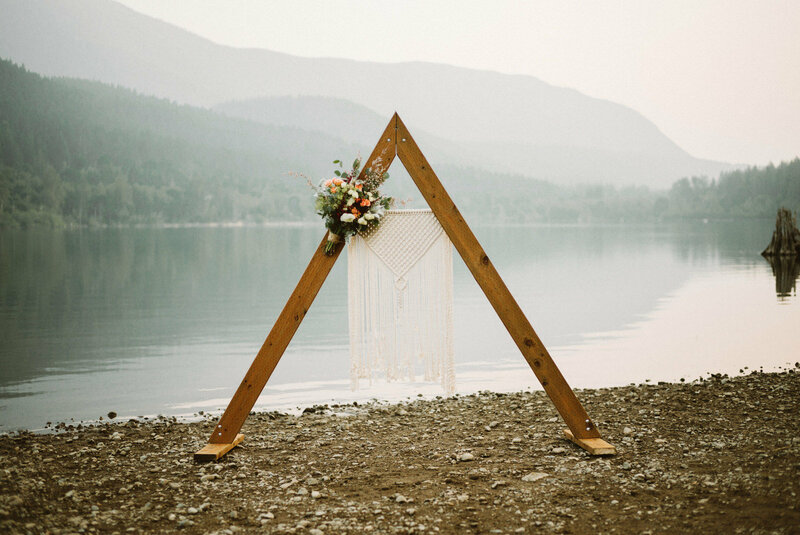 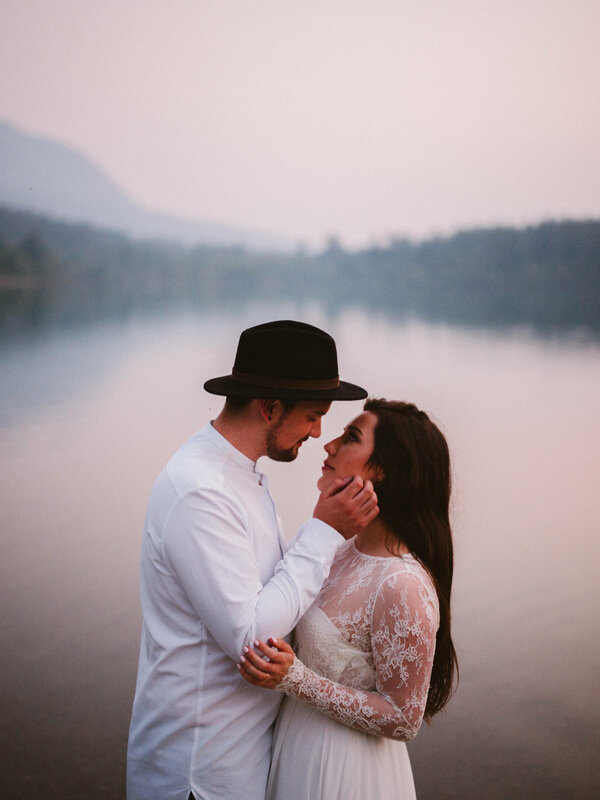 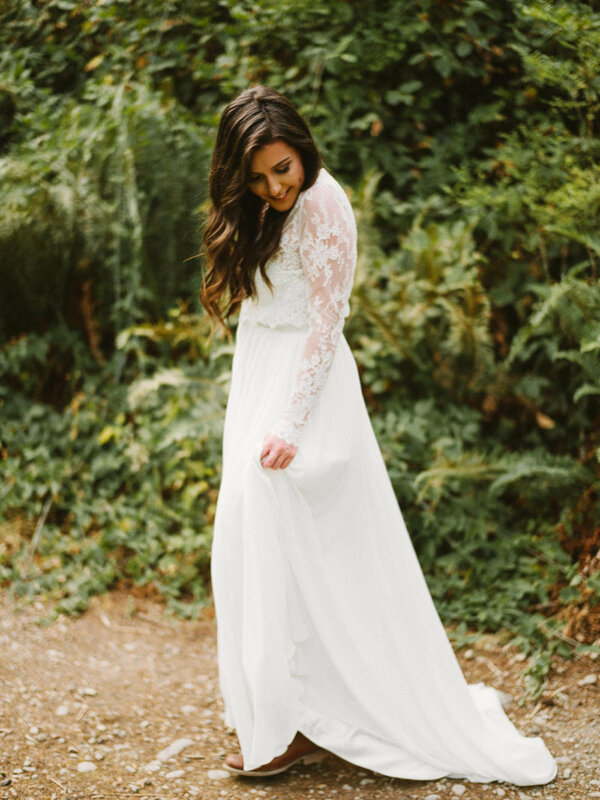 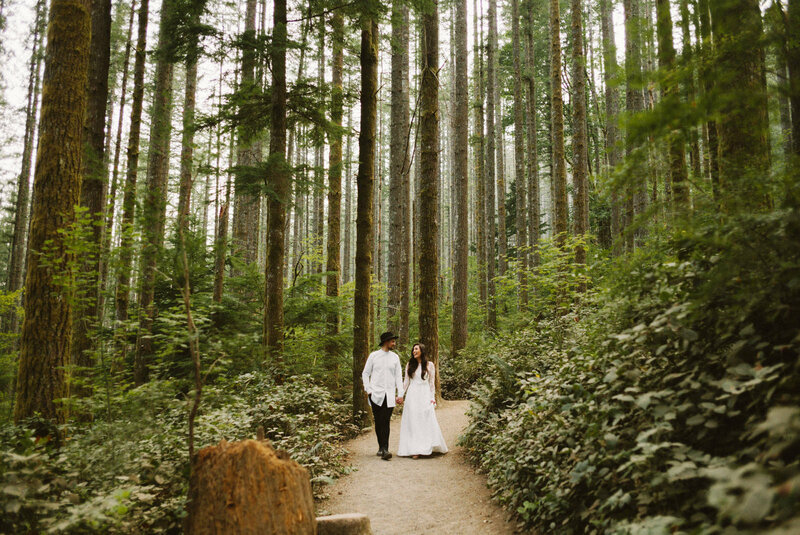 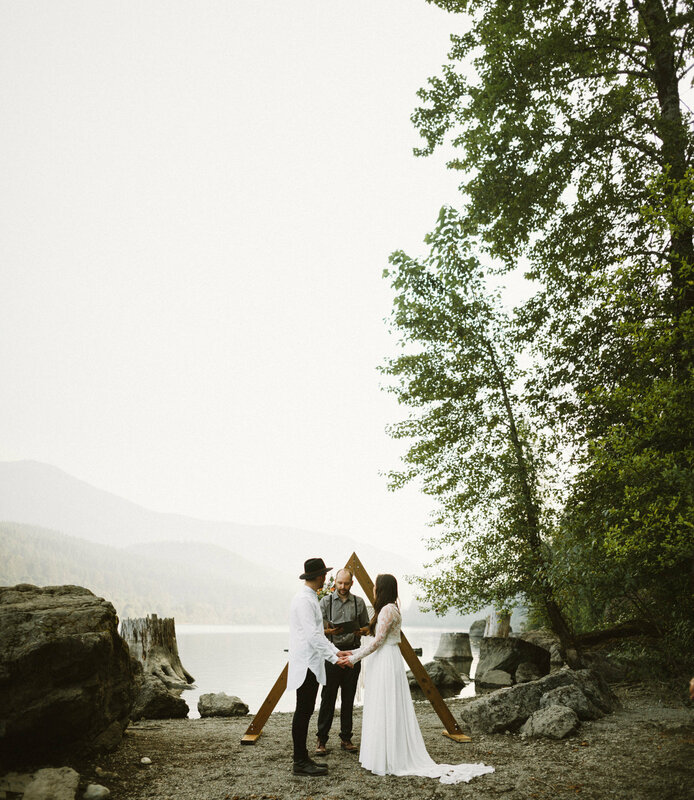 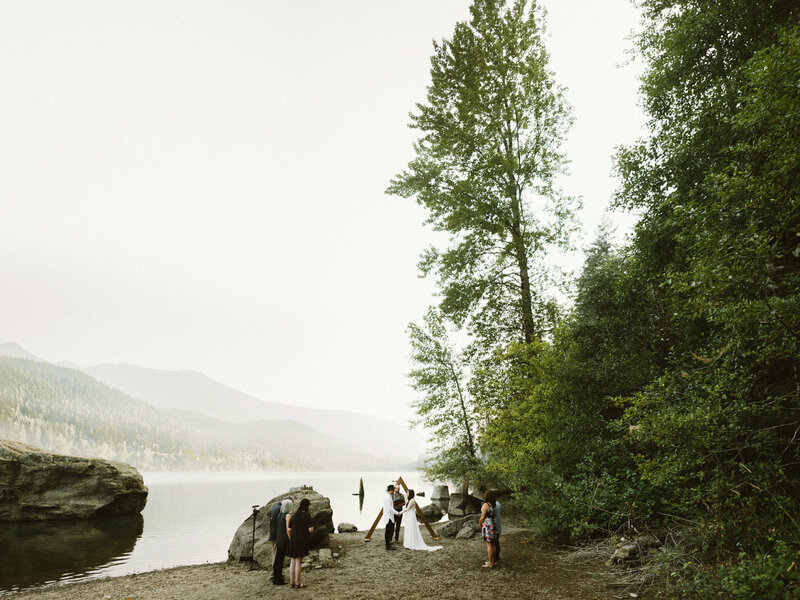 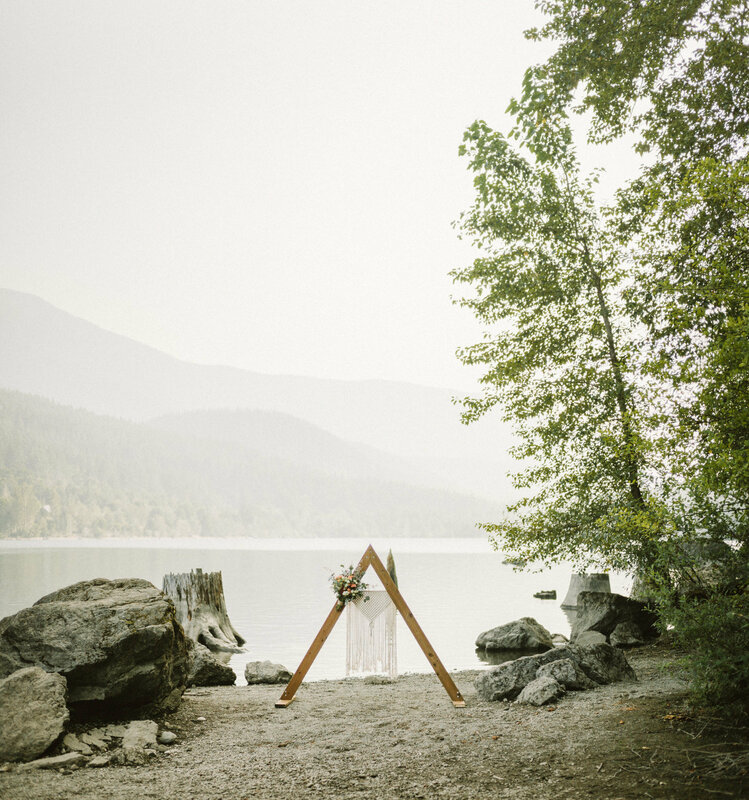 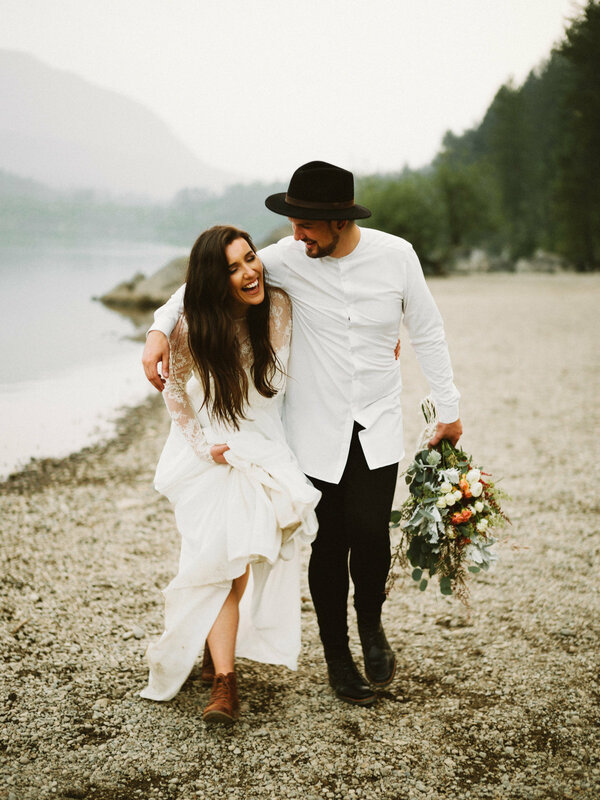 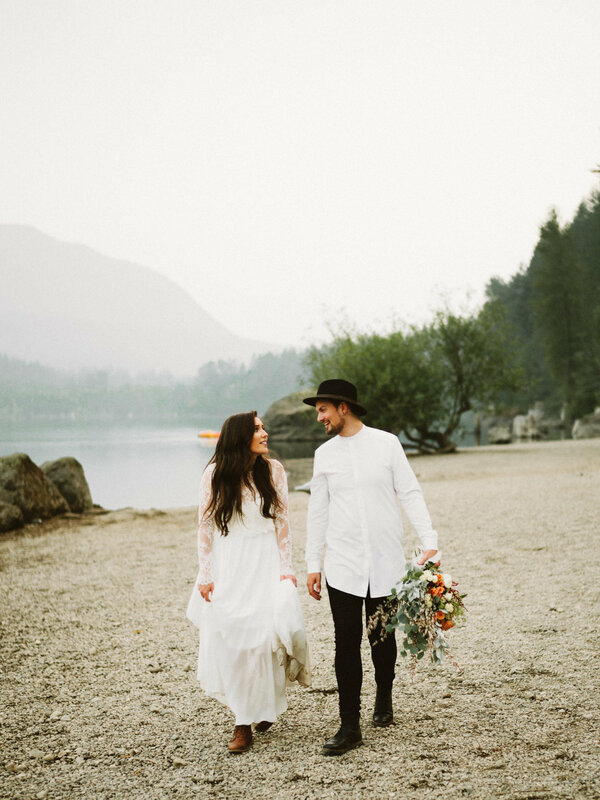 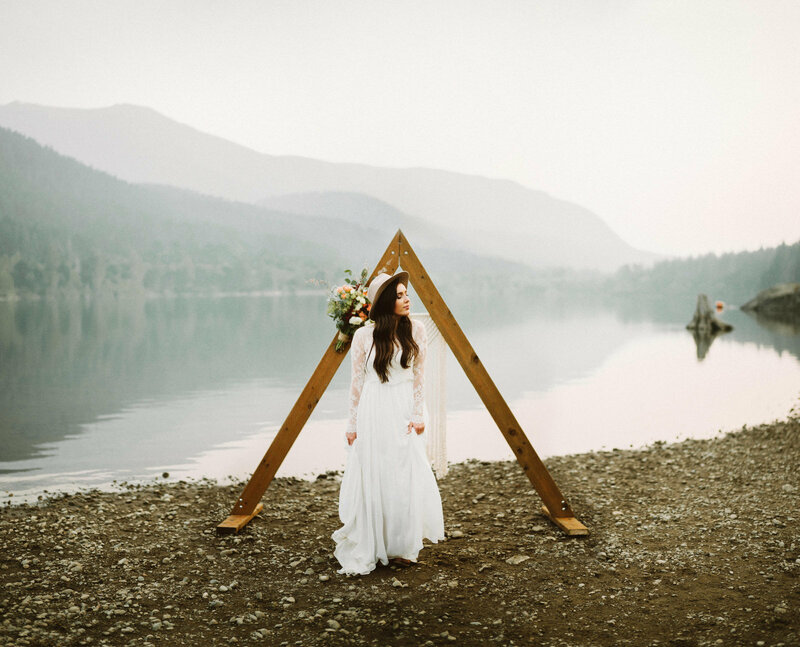 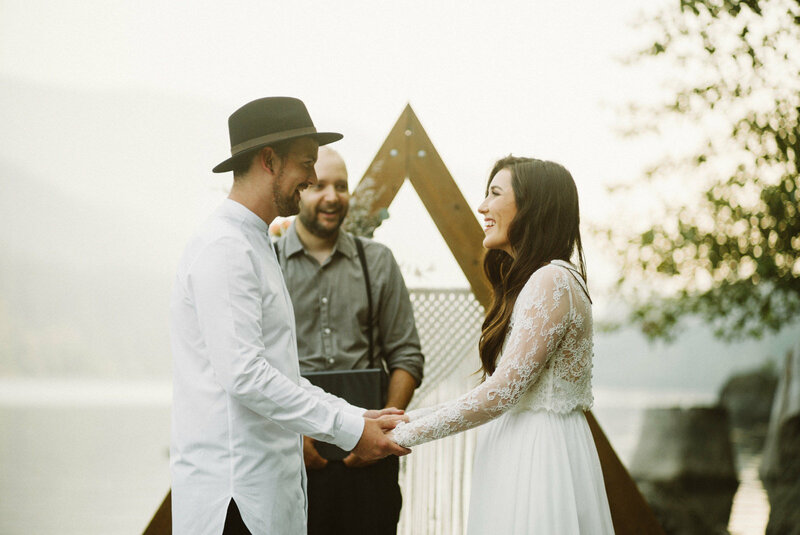 The best day of our lives - we said, ‘I do’ beside our favorite lake, underneath mountains hued by forest fire haze. 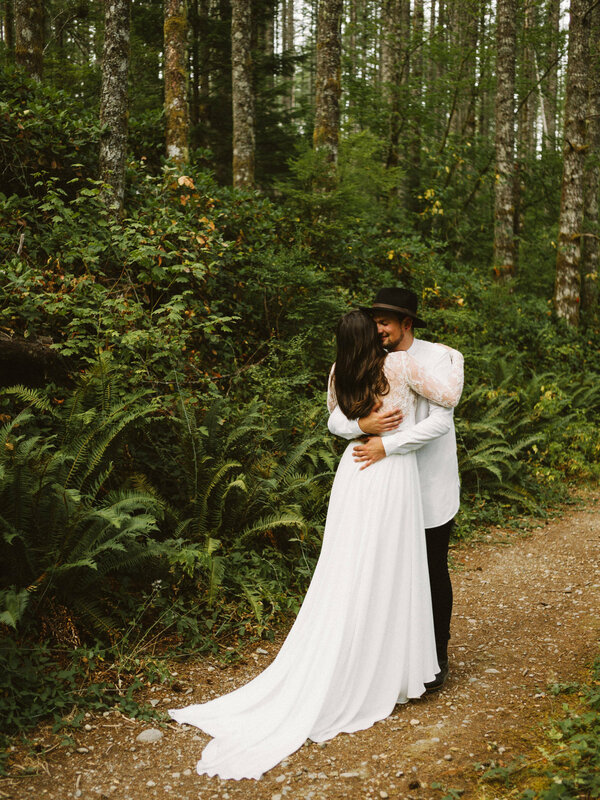 On August 10th 2017 we (FINALLY) got married. 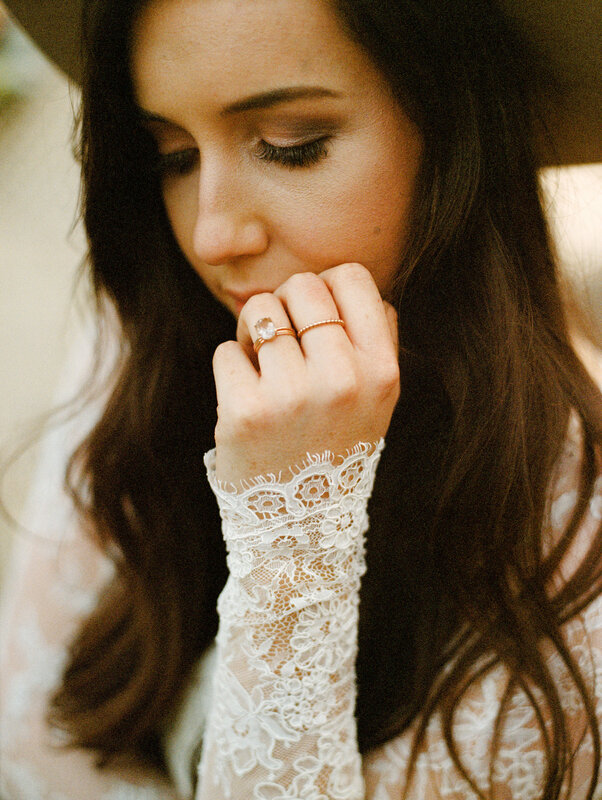 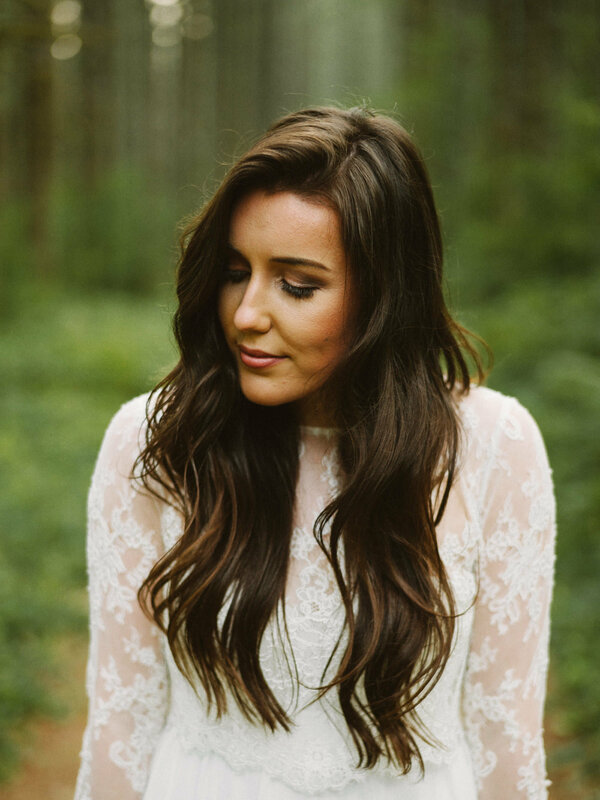 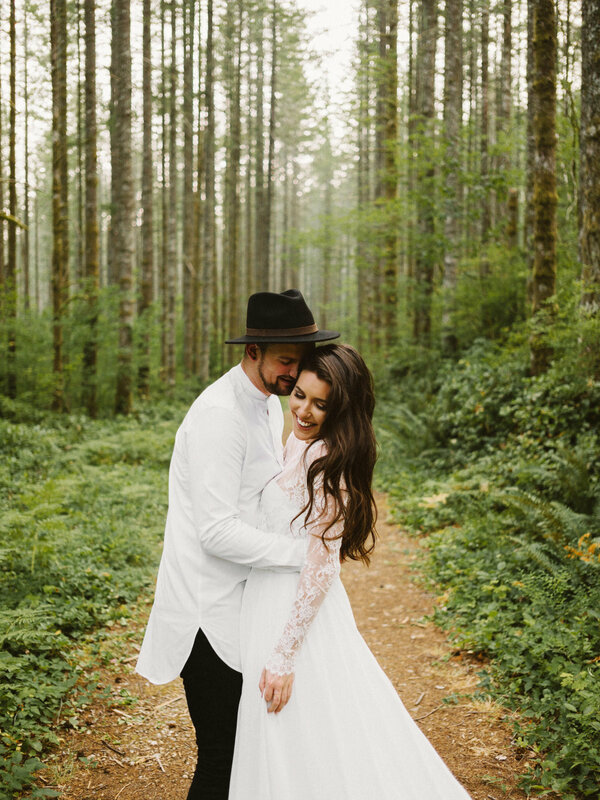 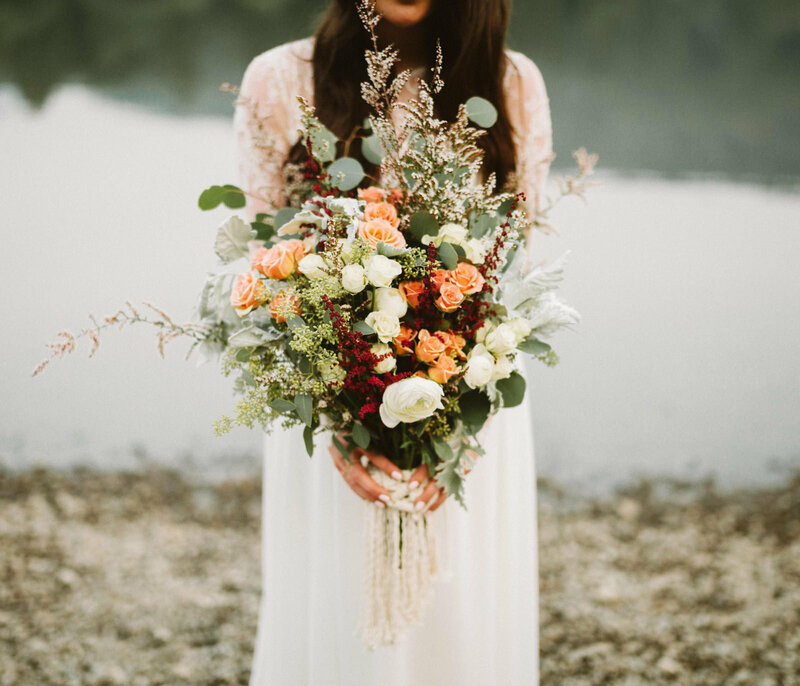 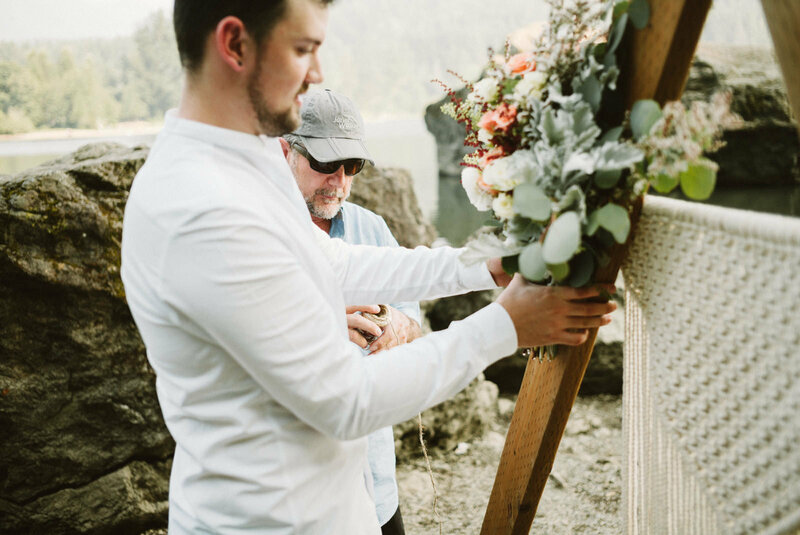 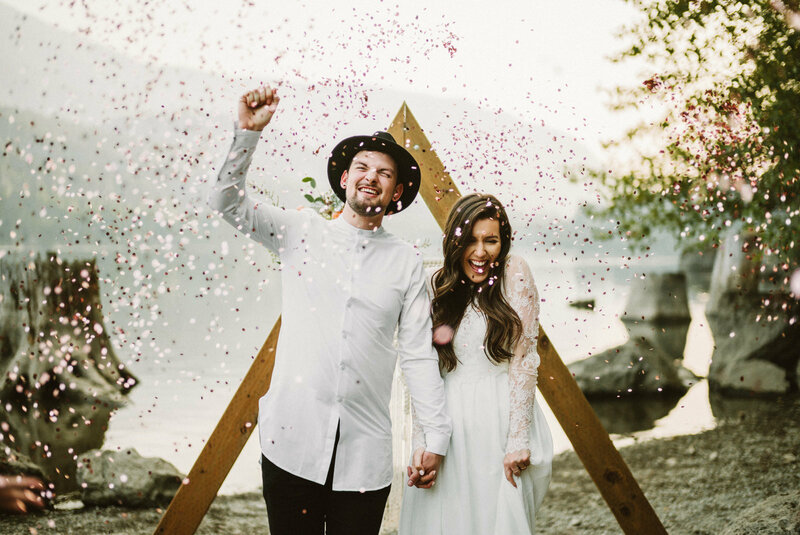 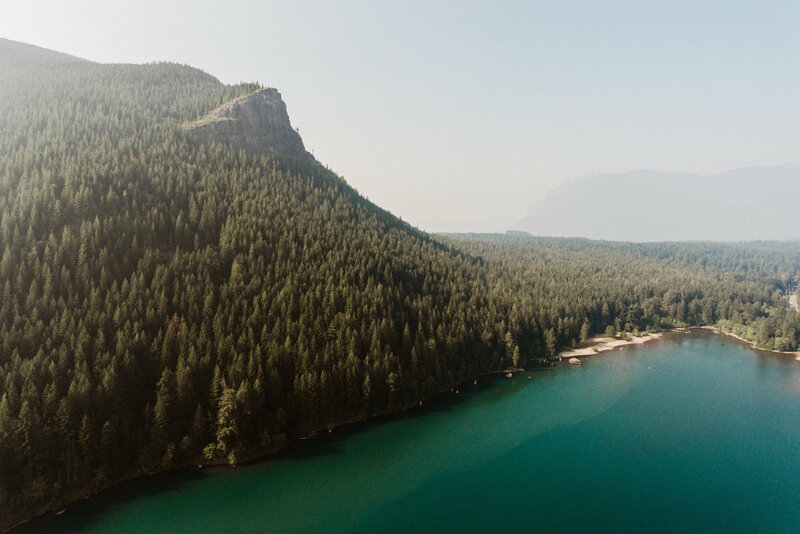 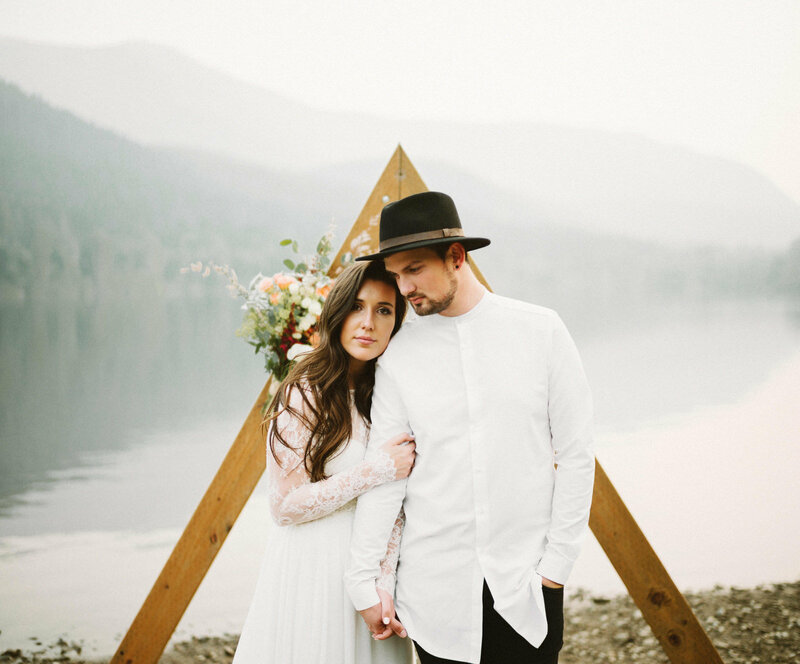 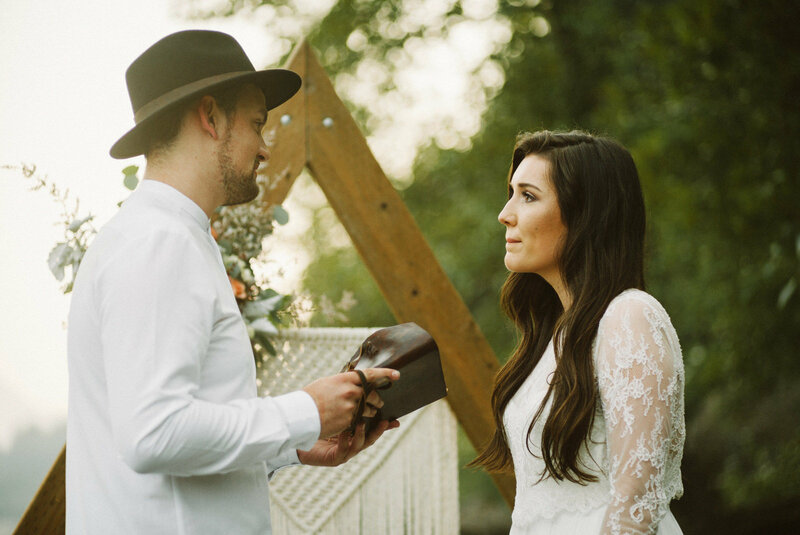 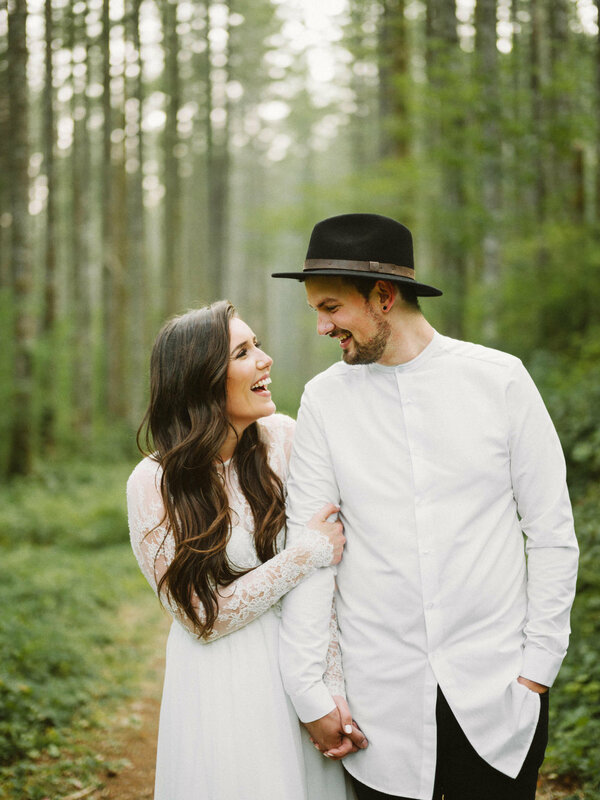 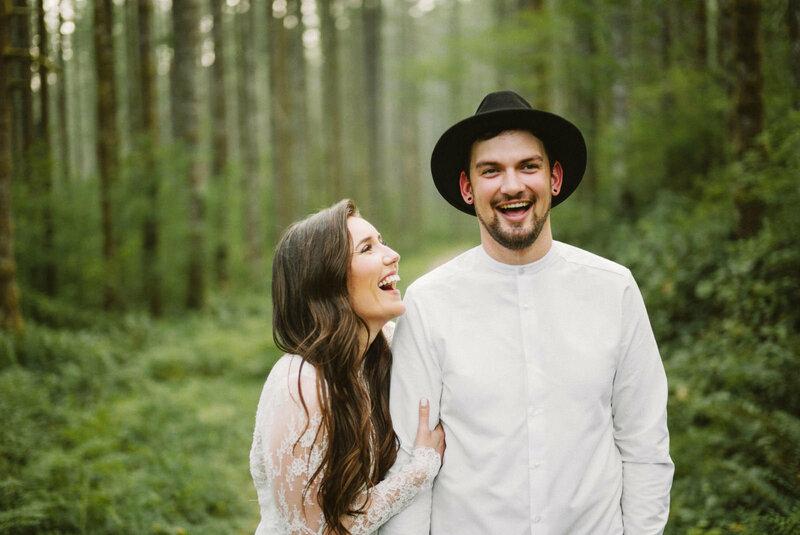 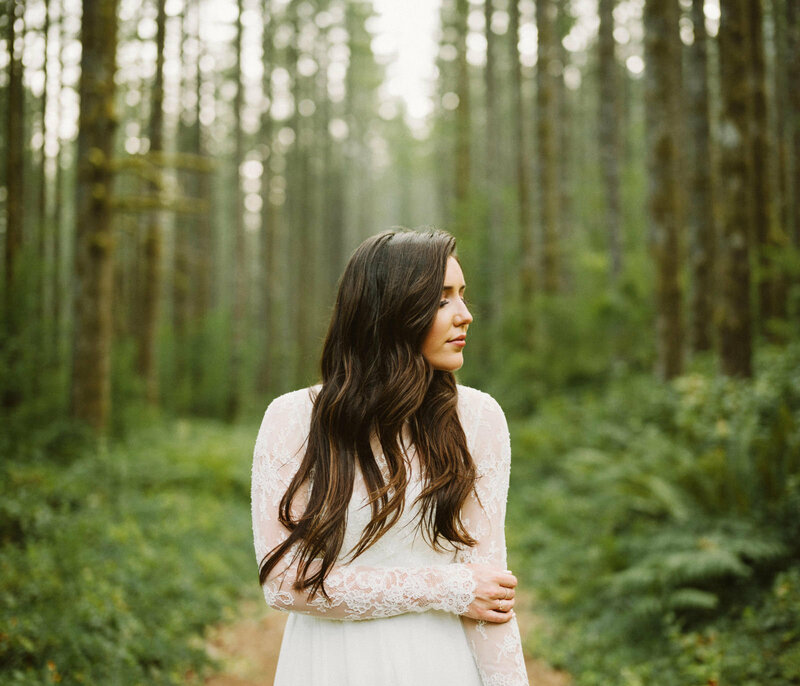 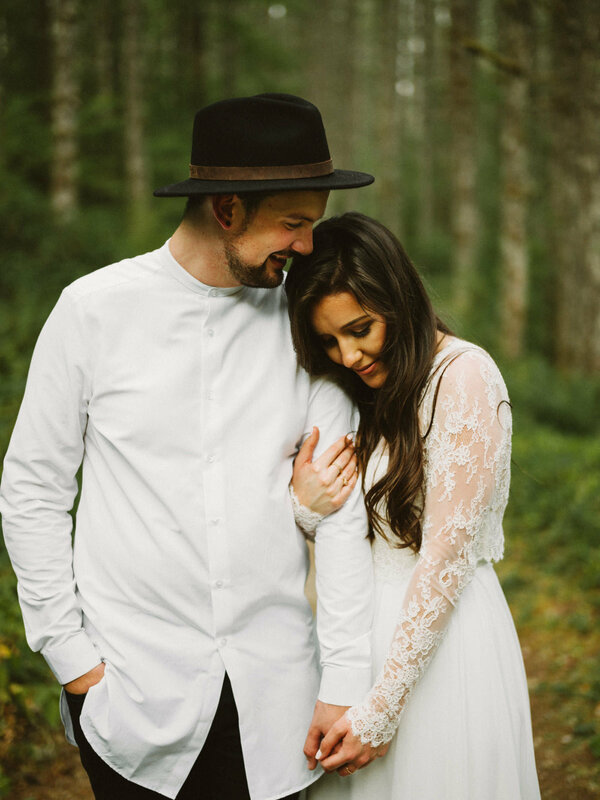 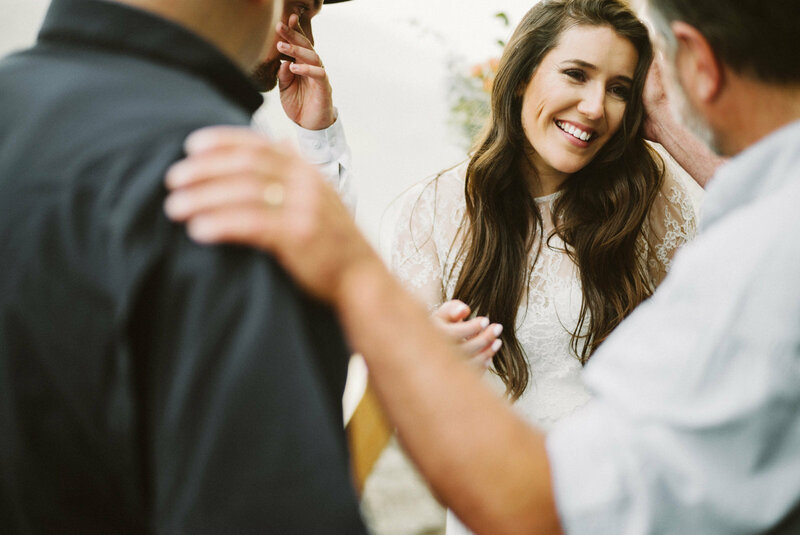 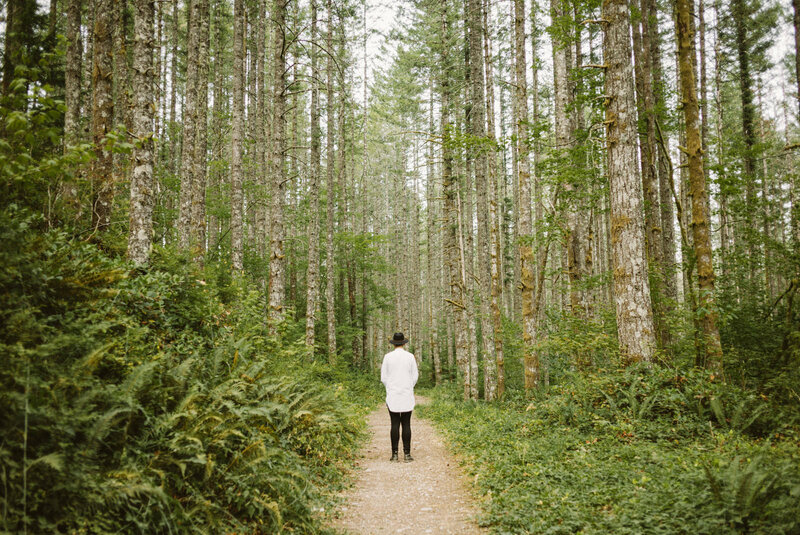 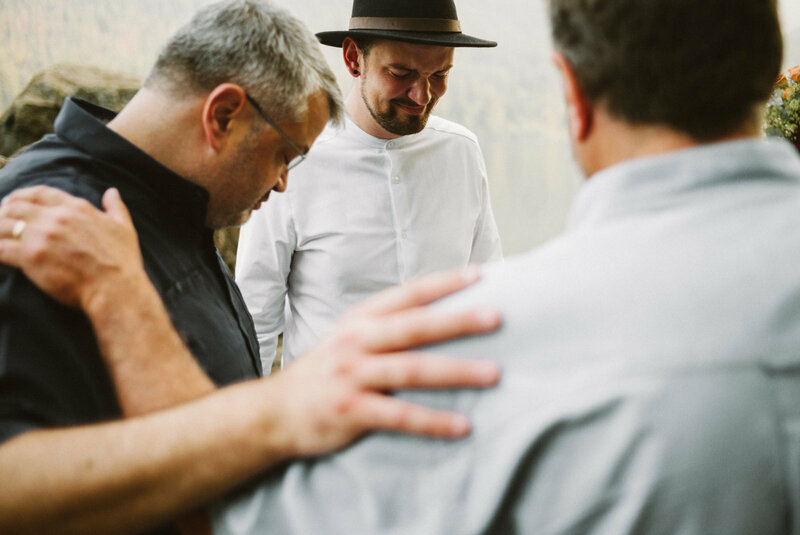 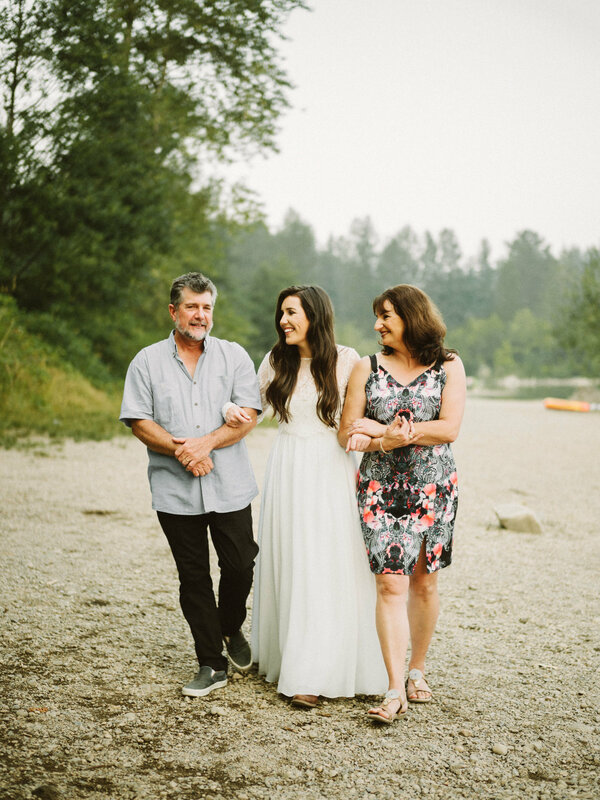 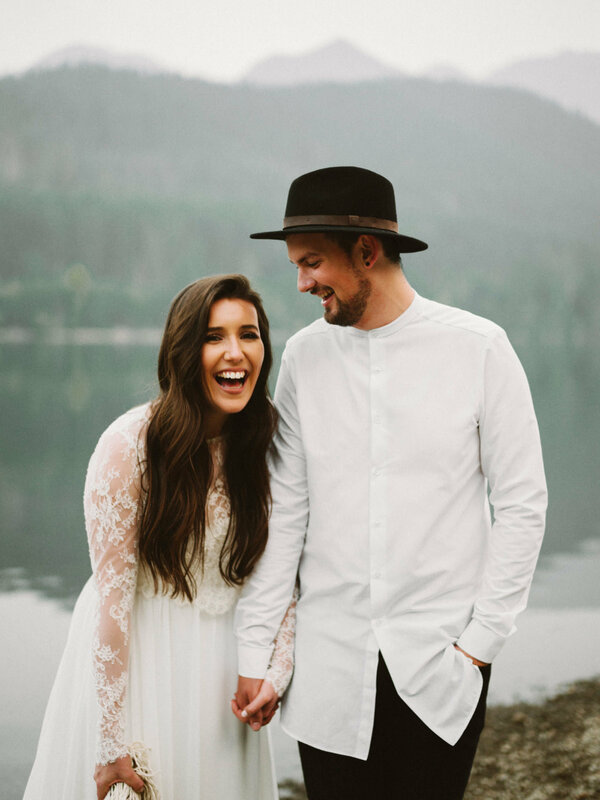 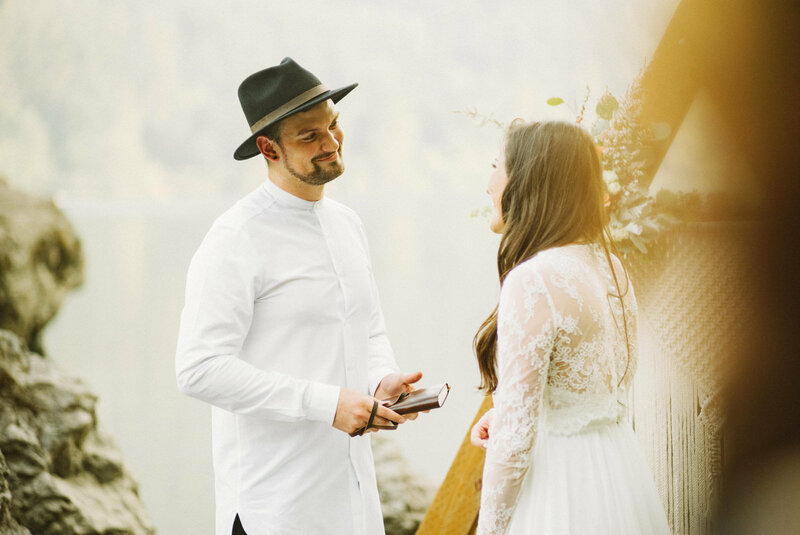 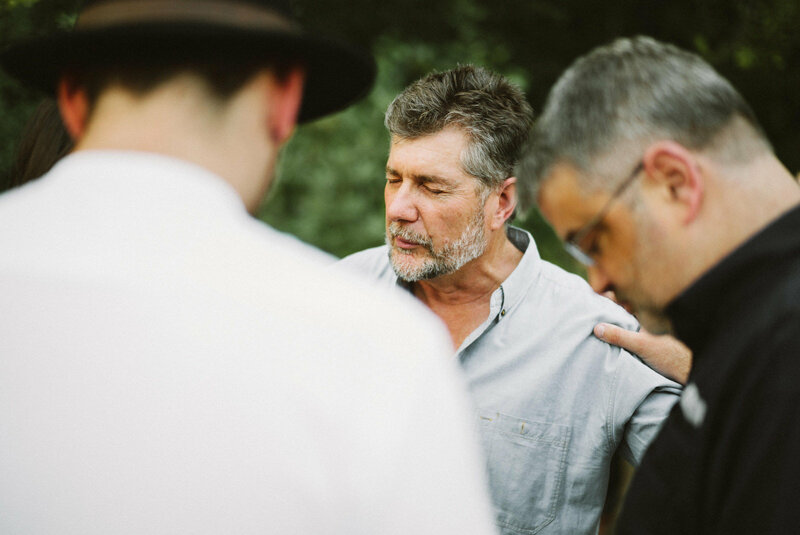 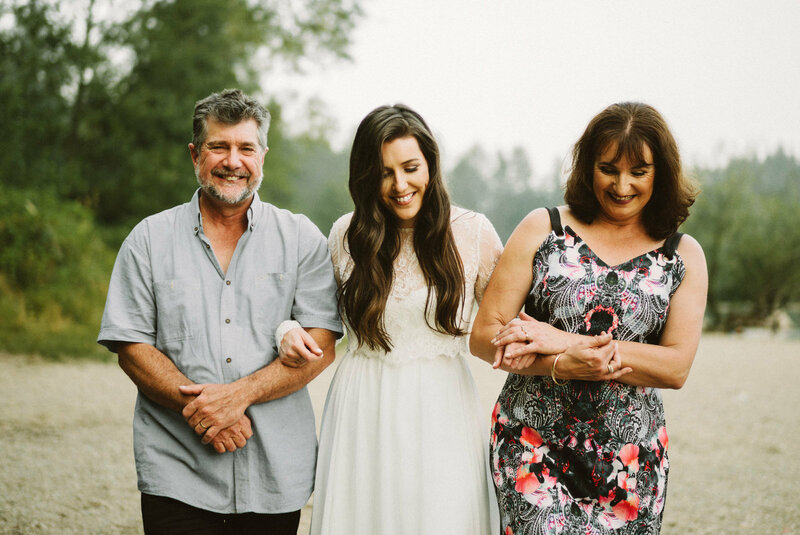 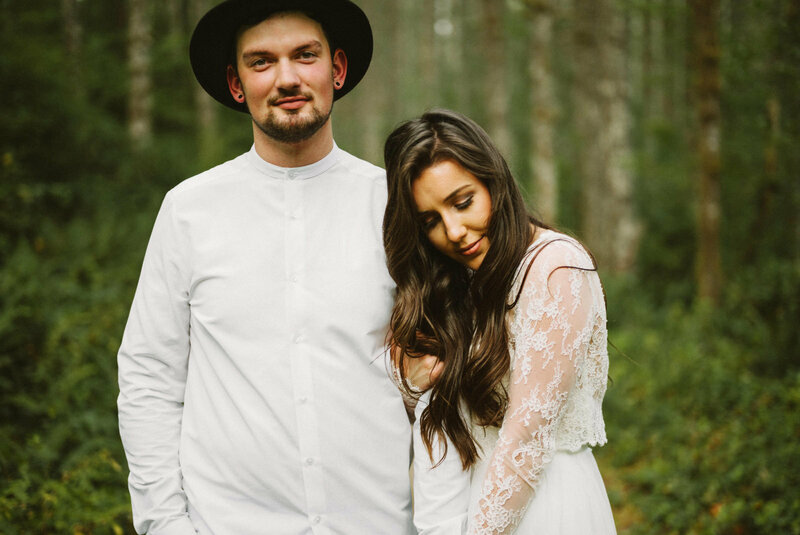 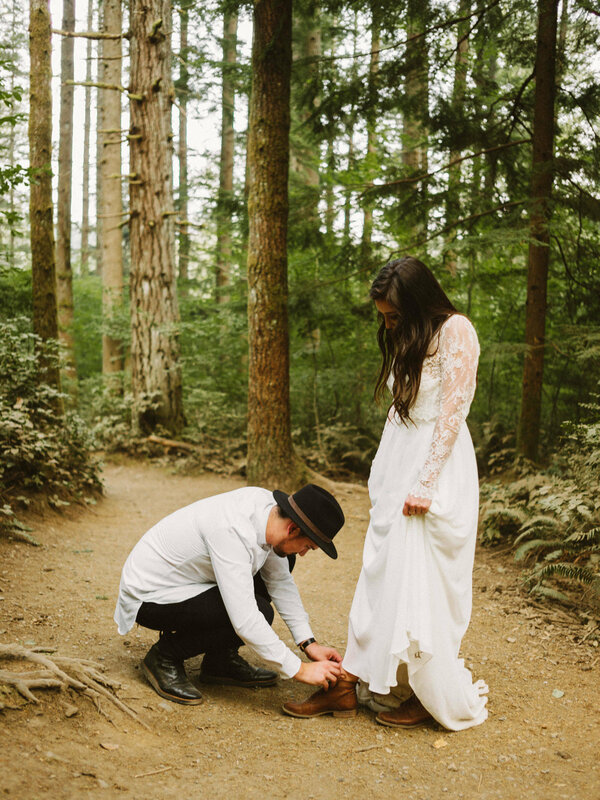 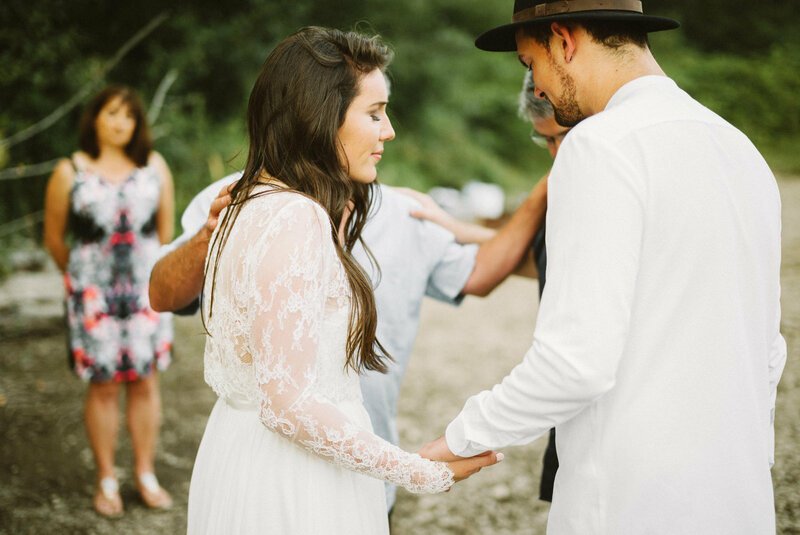 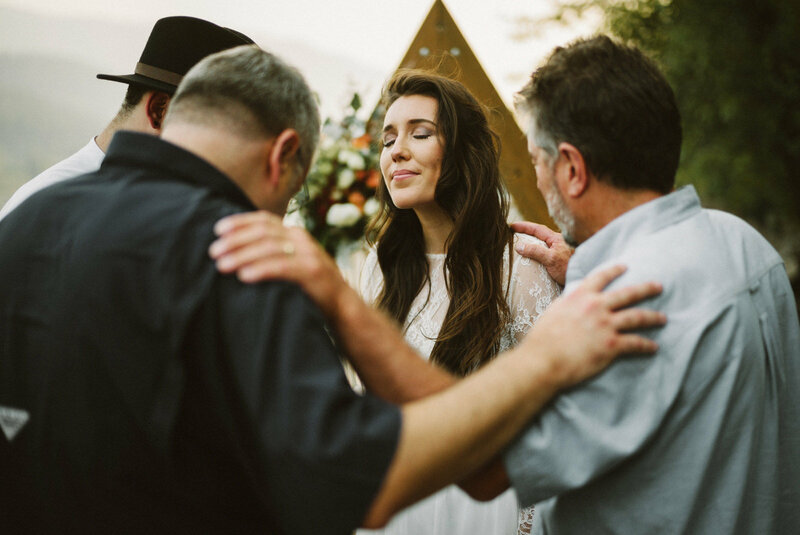 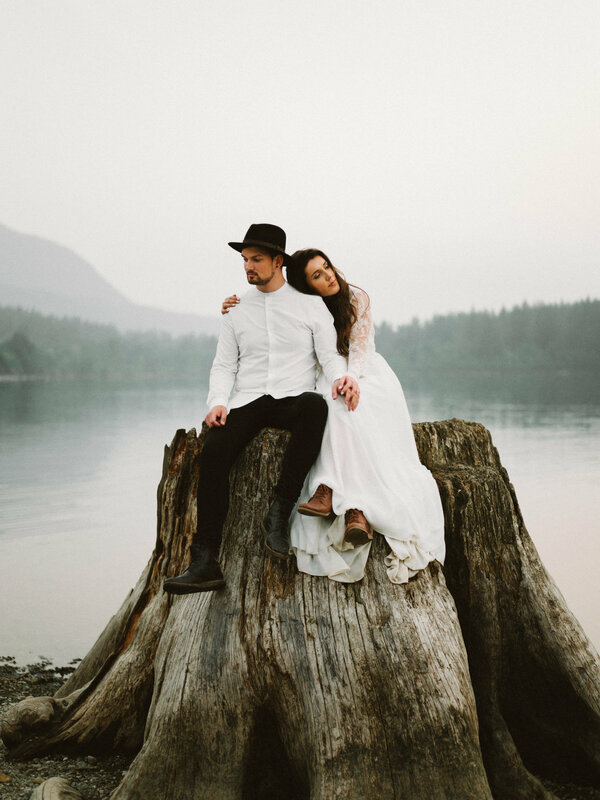 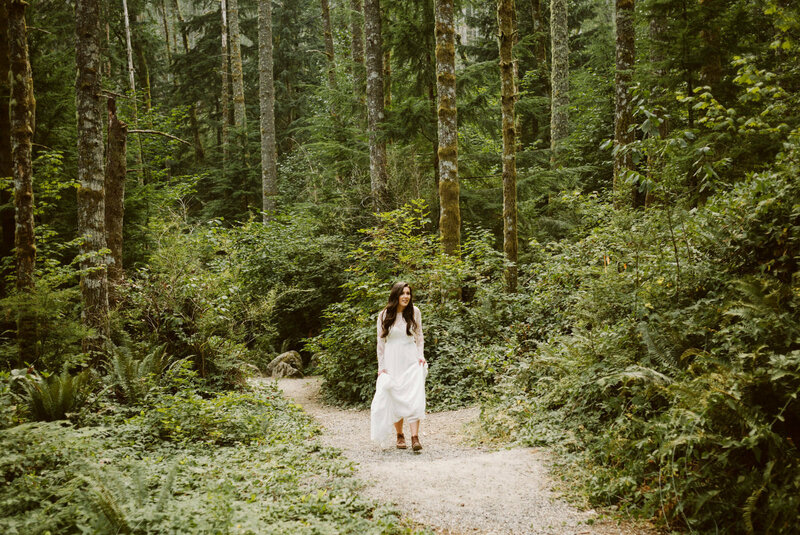 Captured by Benj Haisch, it was a simple elopement with just our immediate family and our pastor. 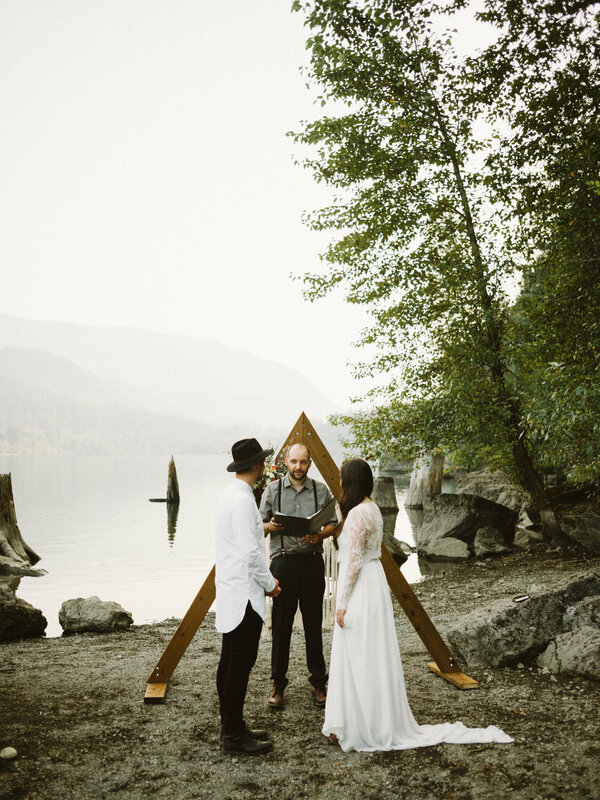 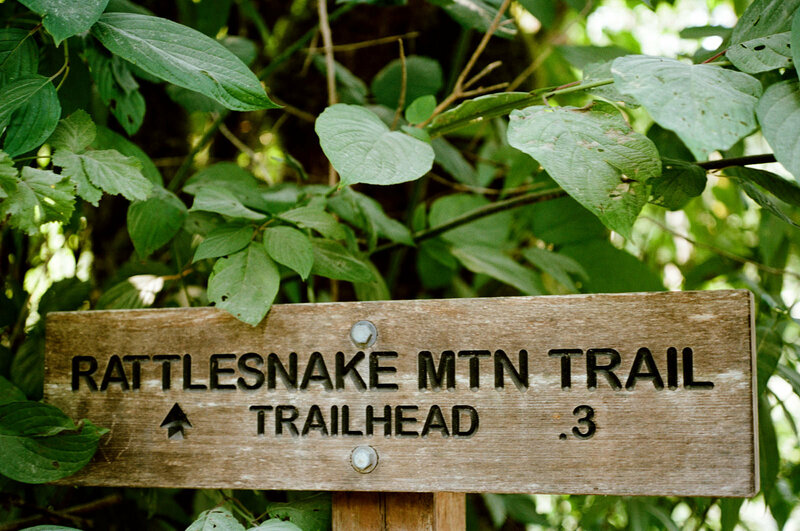 Our photographer Benj gave us photos with more value than we’ve ever known. 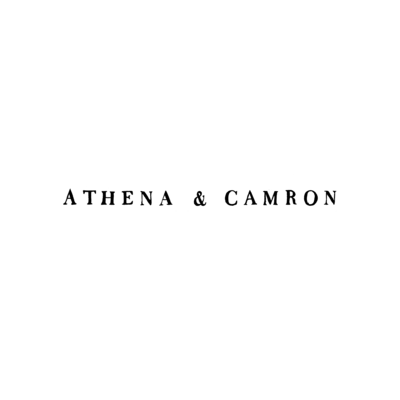 And their value is only going to increase with time as we grow older. 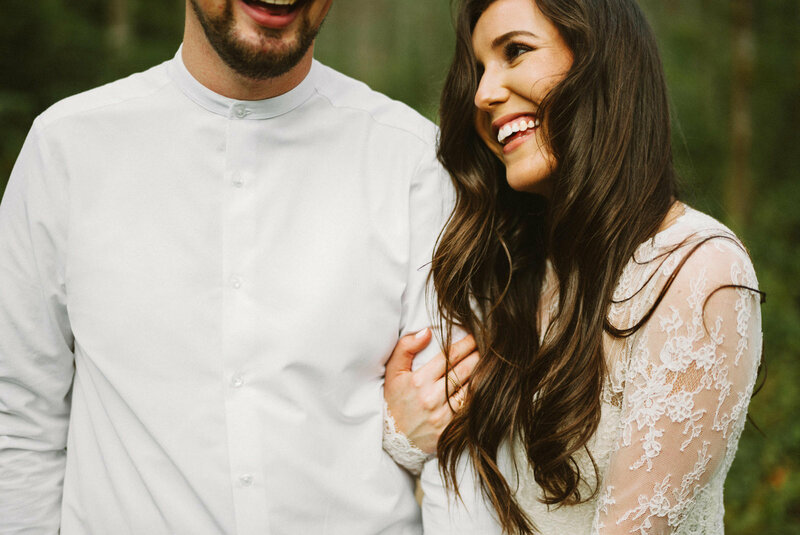 We are absolutely undone with how beautiful they are. 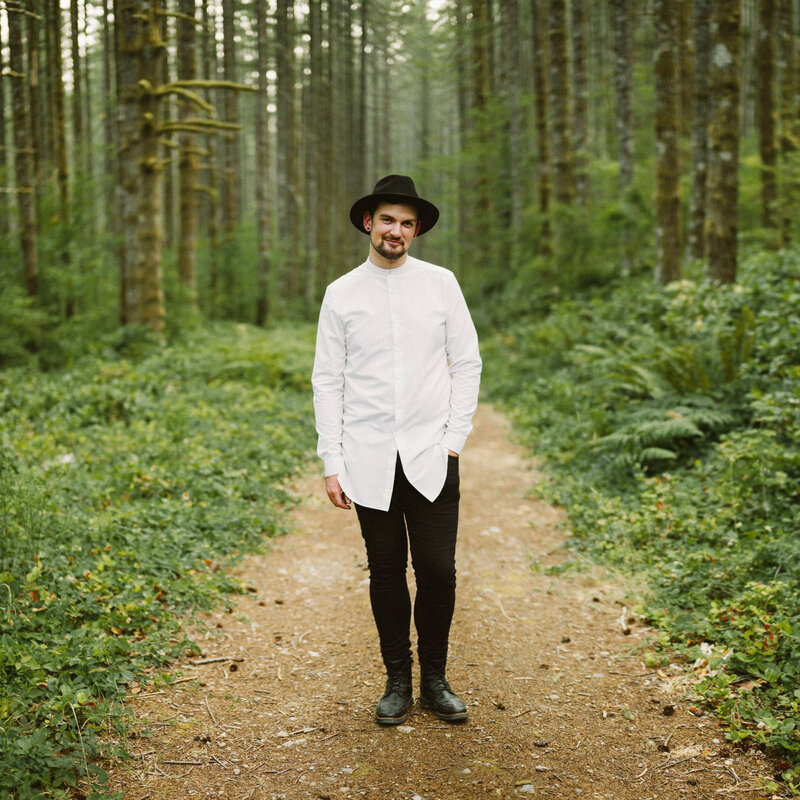 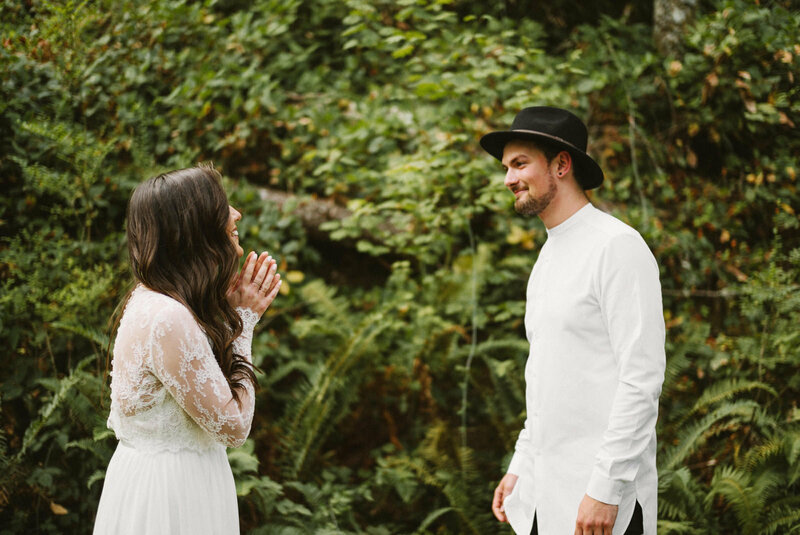 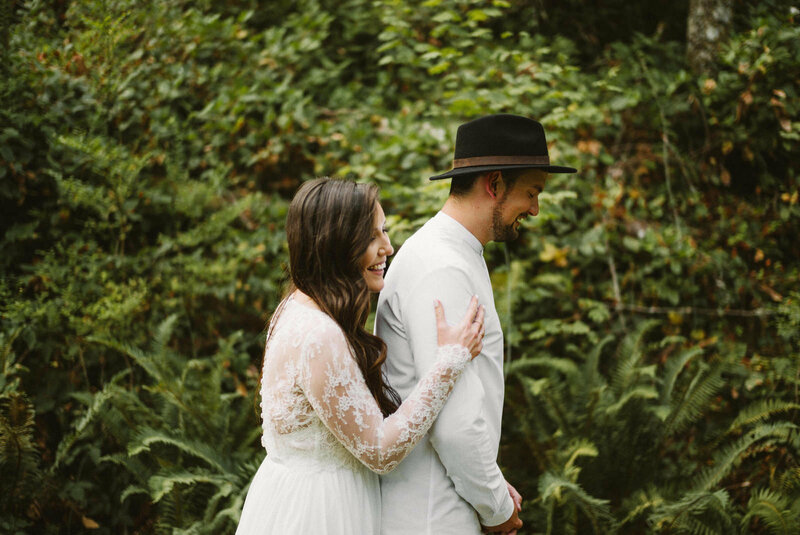 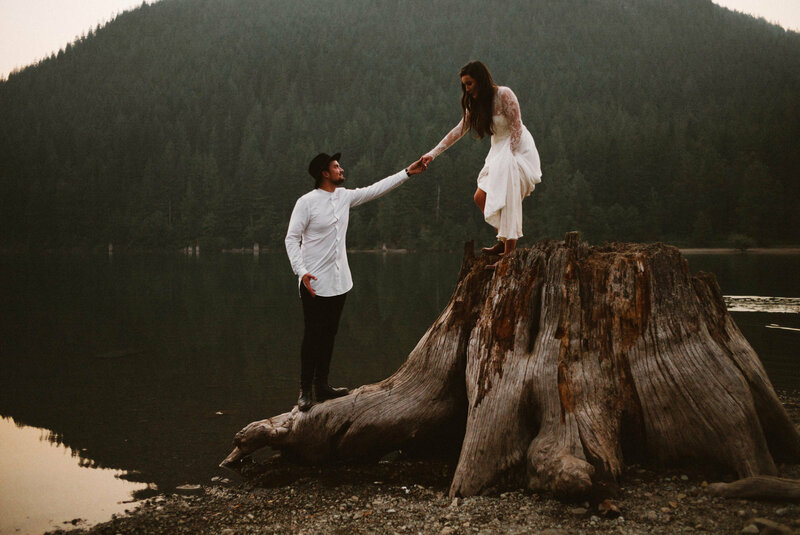 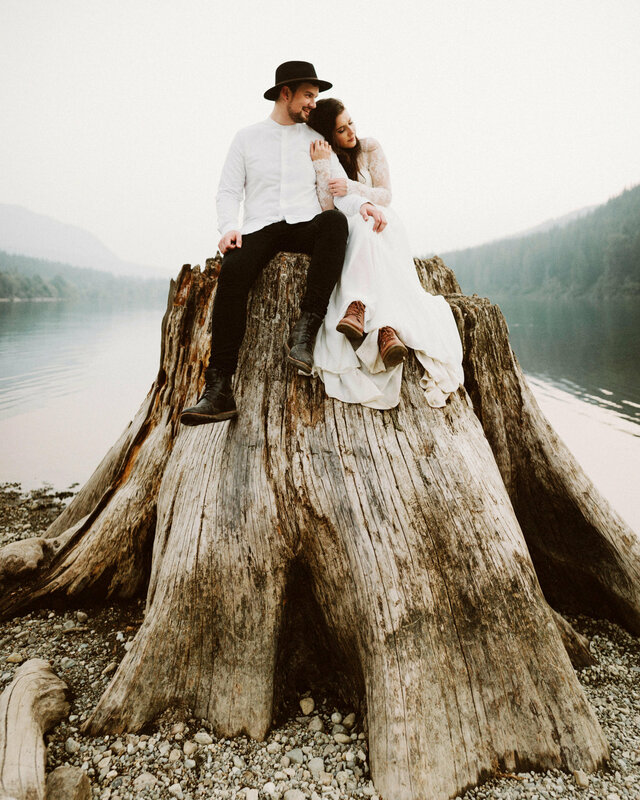 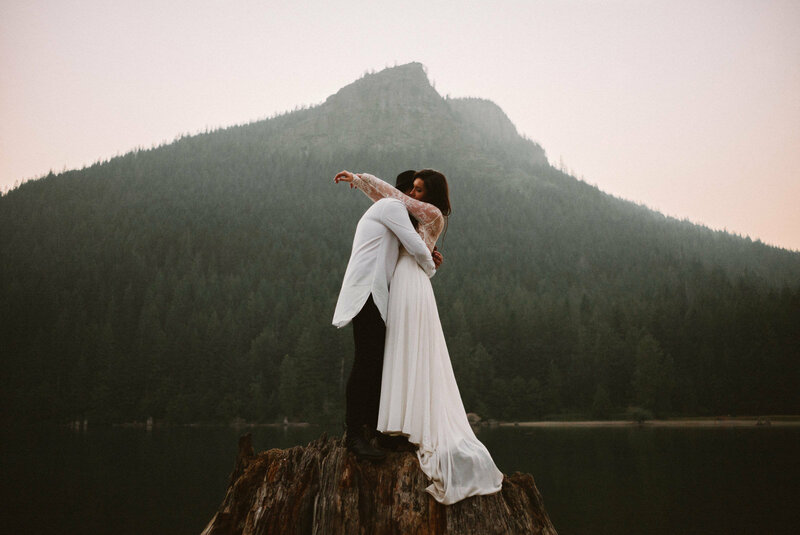 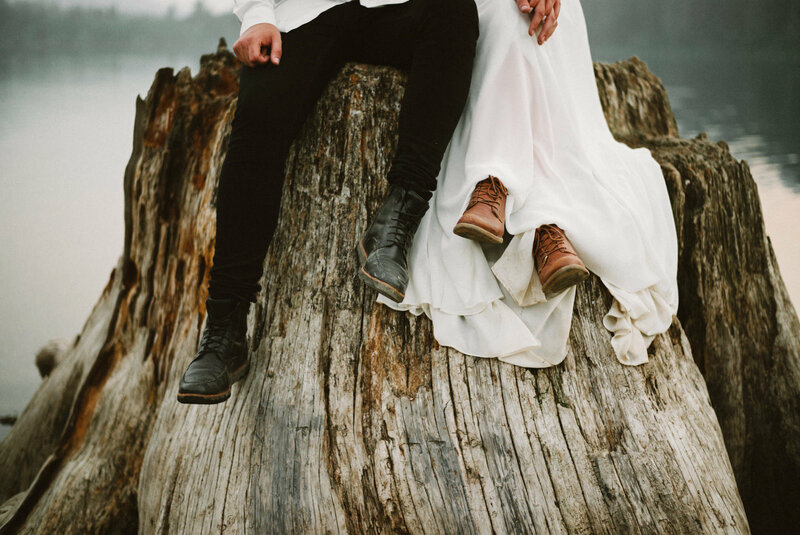 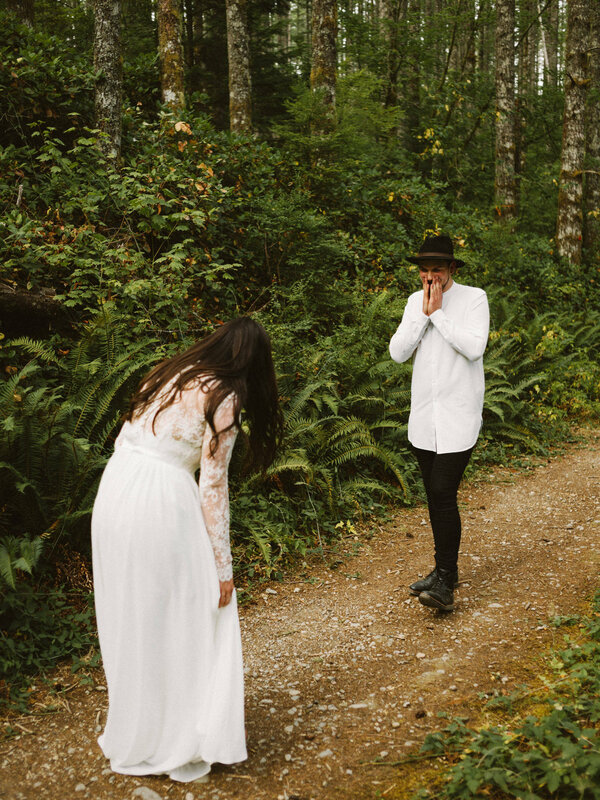 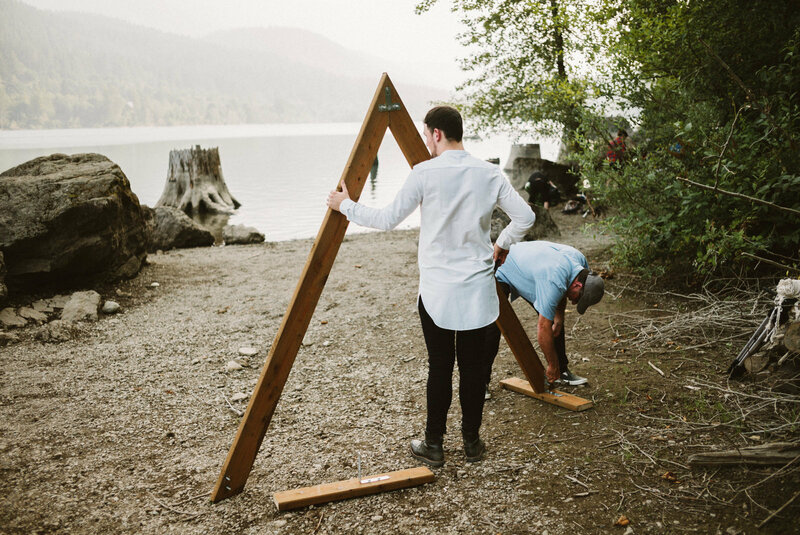 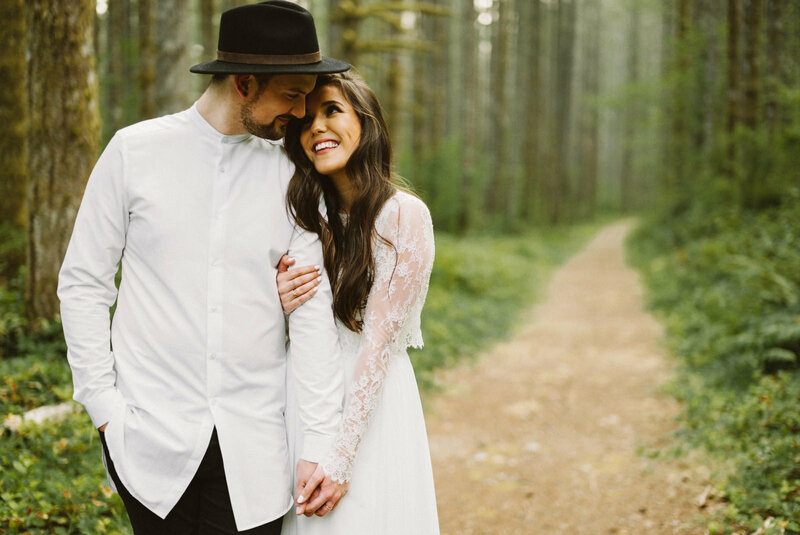 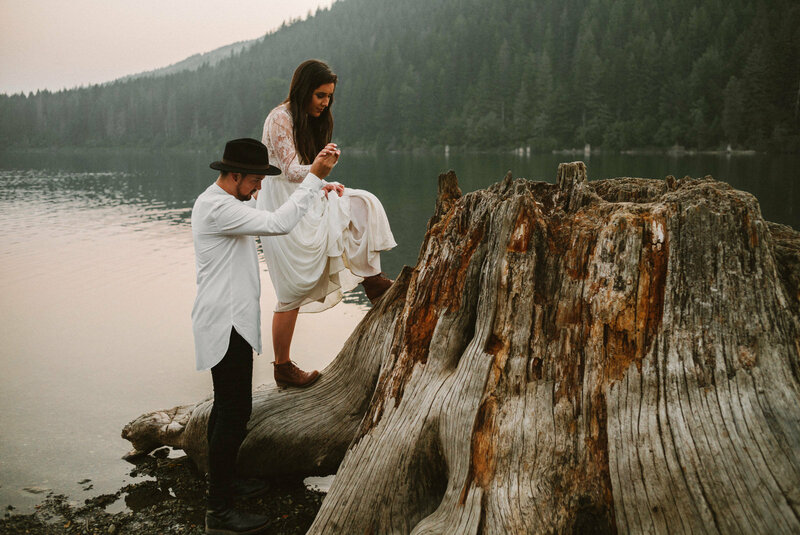 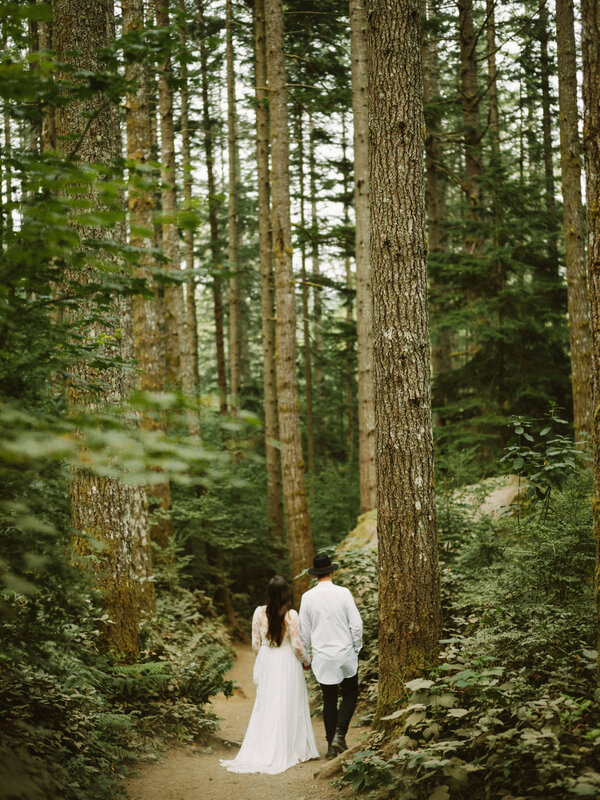 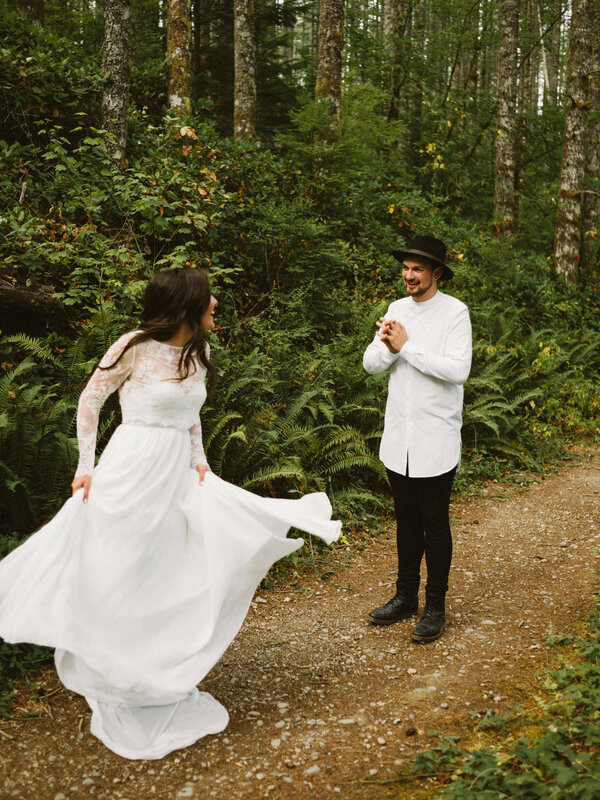 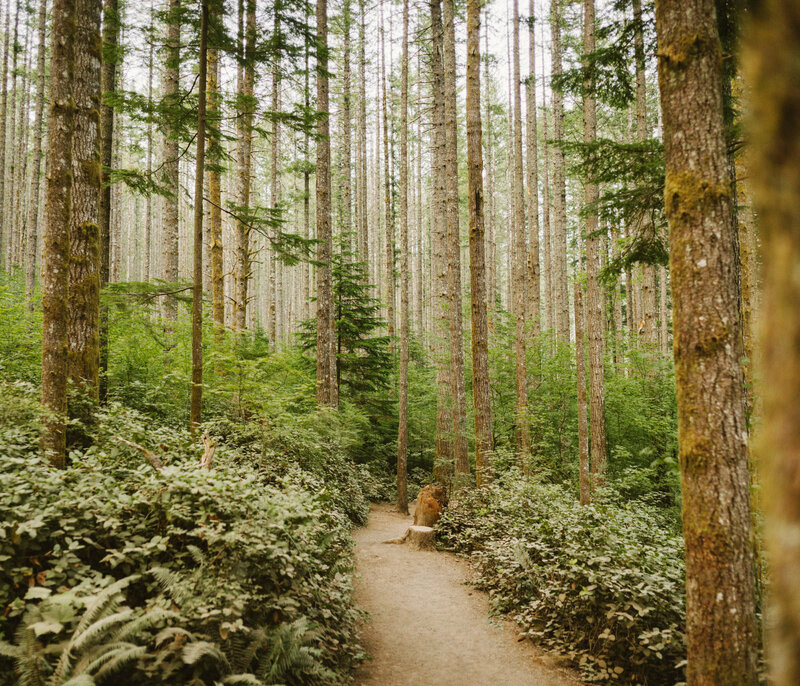 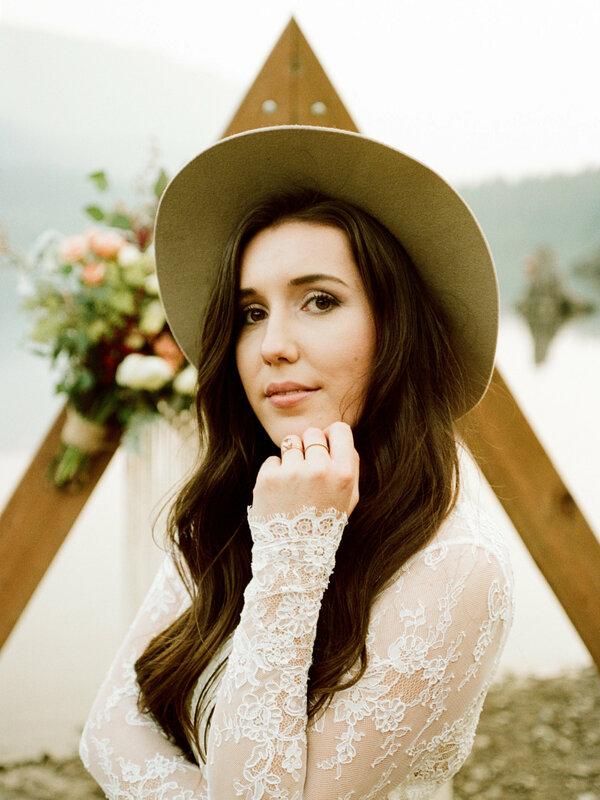  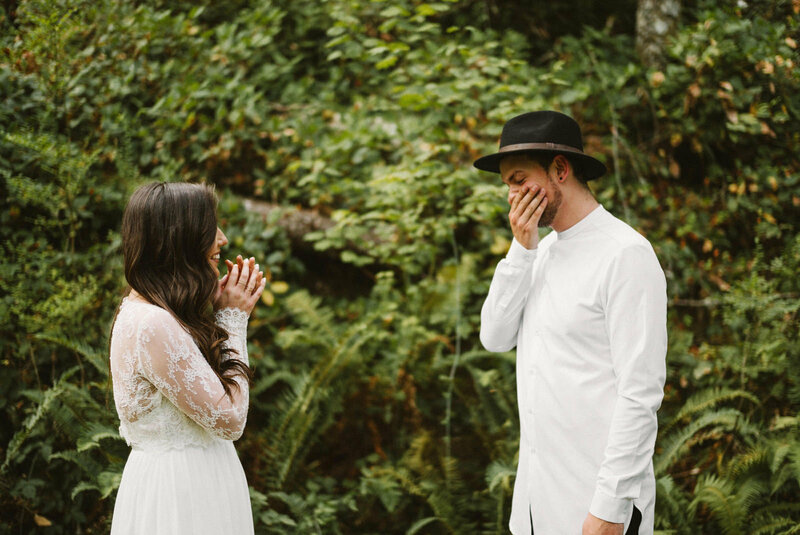 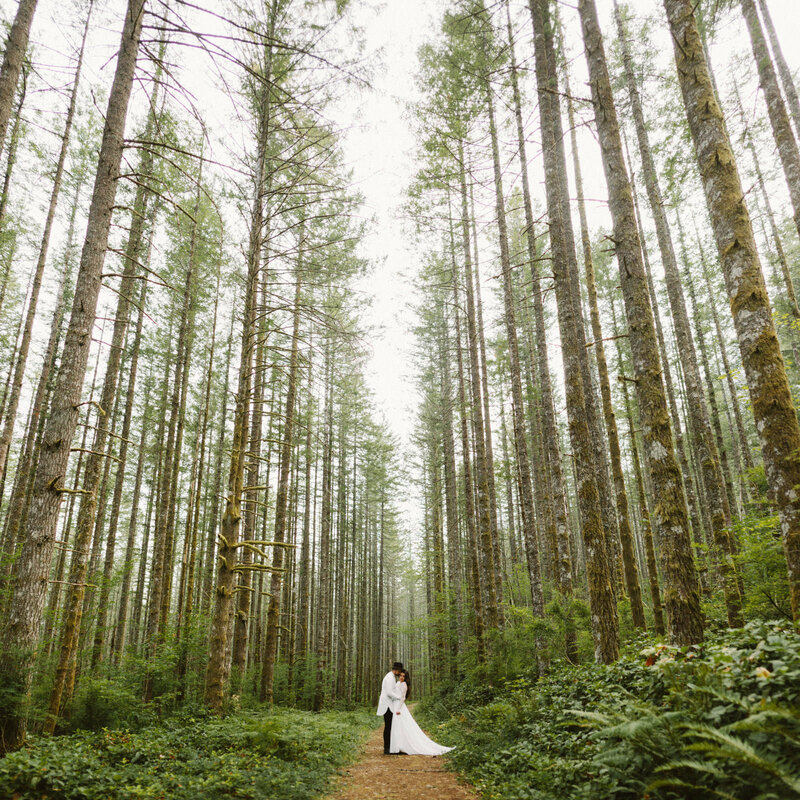 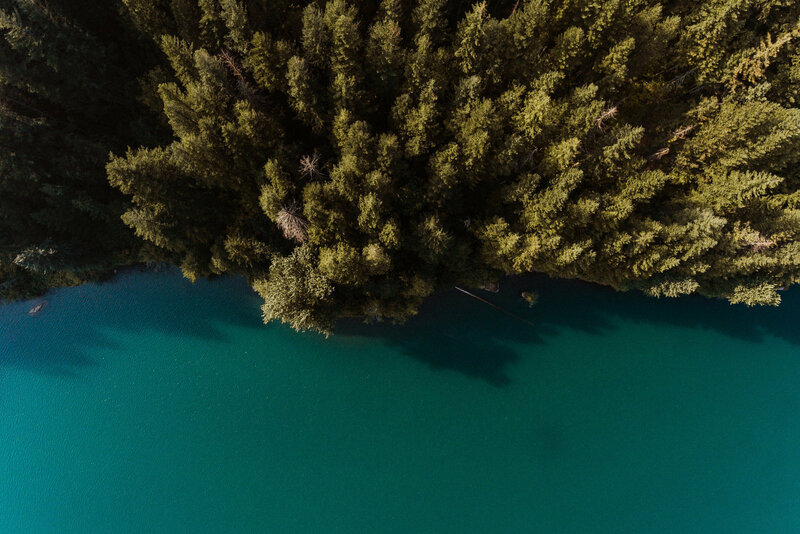 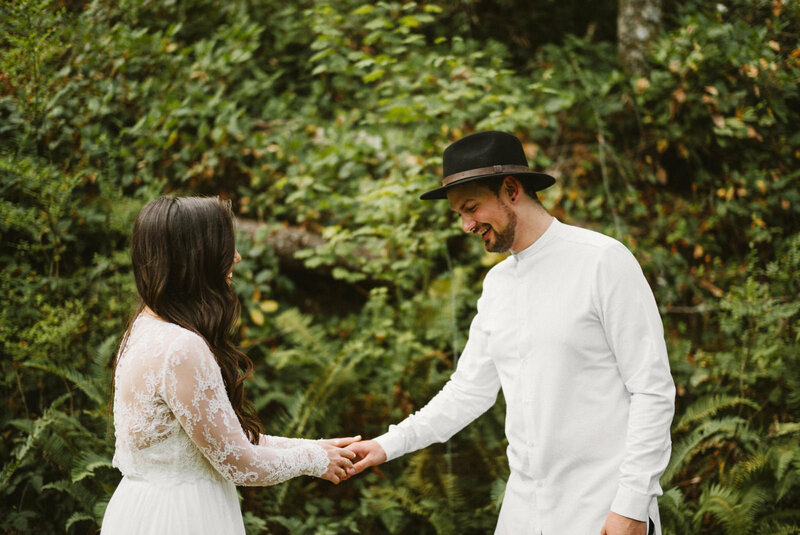 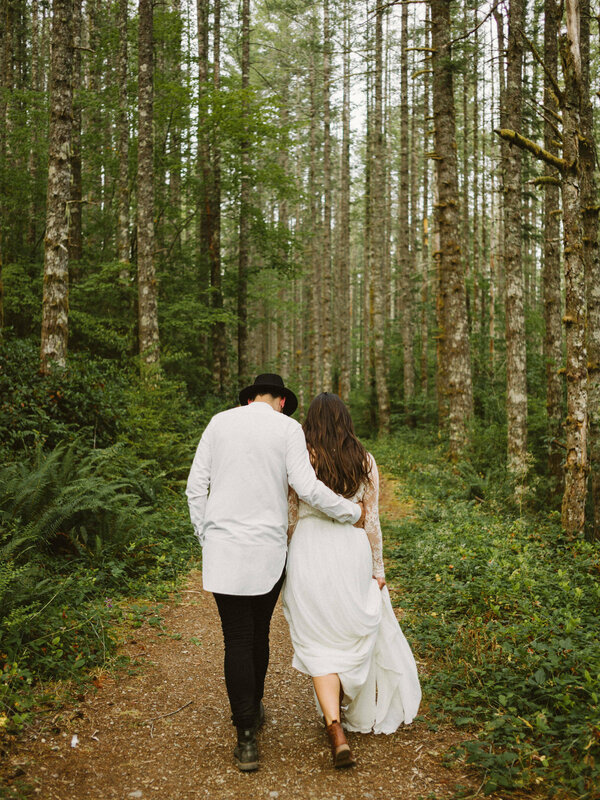 We chose Benj because for years he has drawn us in with his timeless and epic photos of couples in the Pacific North West. 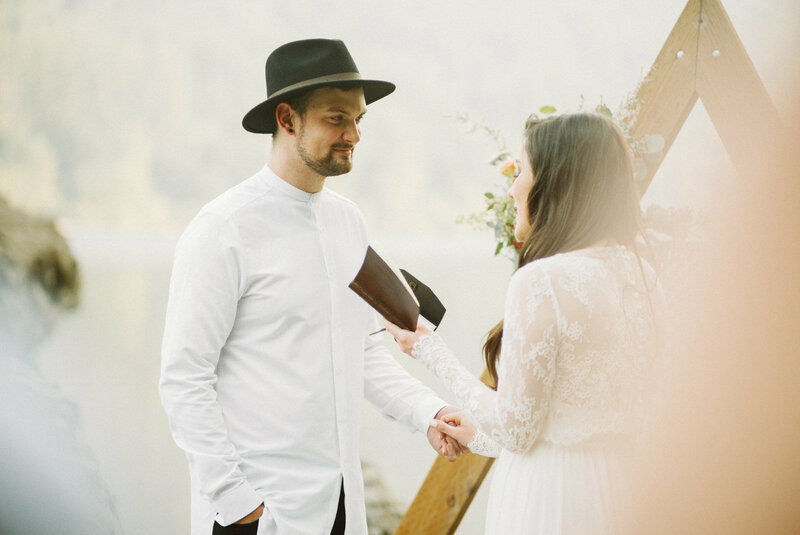 To have him shoot our wedding was an unspeakable privilege. 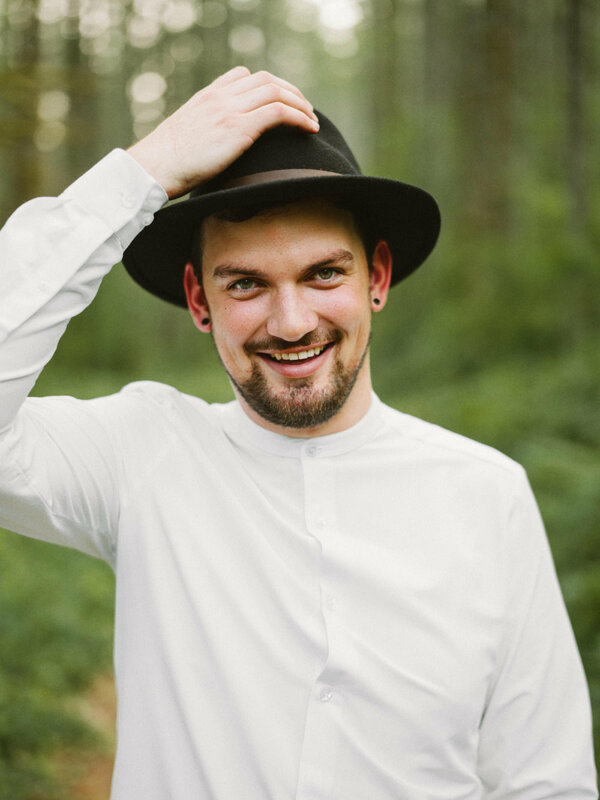 He is insanely talented, humble, fun to be around and has such a good heart.